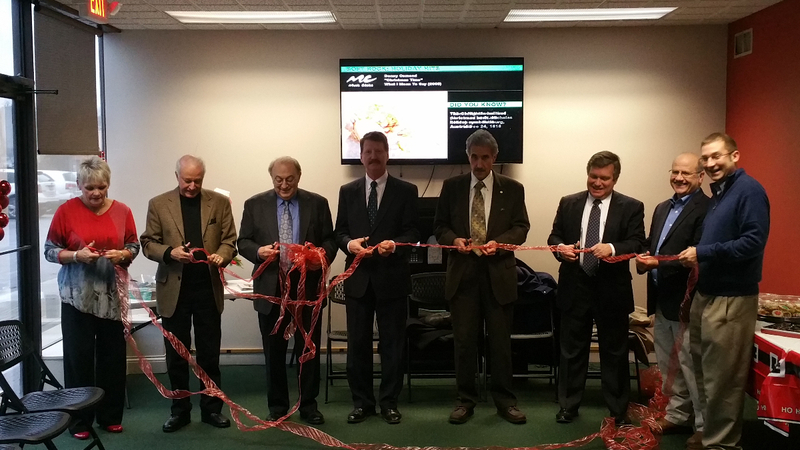 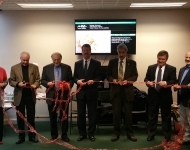 2014 Photo Gallery - Senator Elder Vogel, Jr.
December 5, 2014 - Senator Vogel attended the ribbon cutting of Keller Williams Realty’s new office in downtown New Castle. 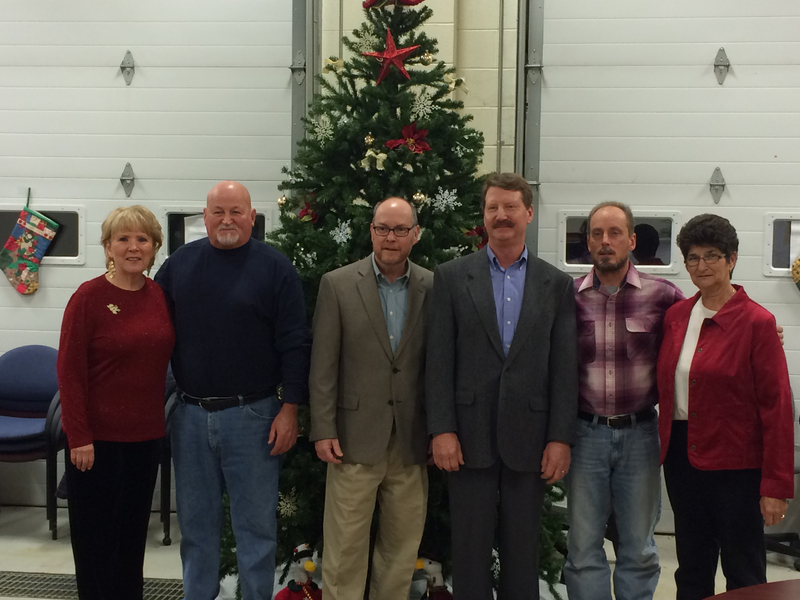 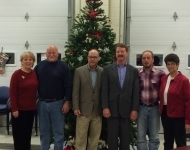 December 2, 2014 - Senator Vogel and Representative Marshall presented a $40,000 grant check to Greene Twp. 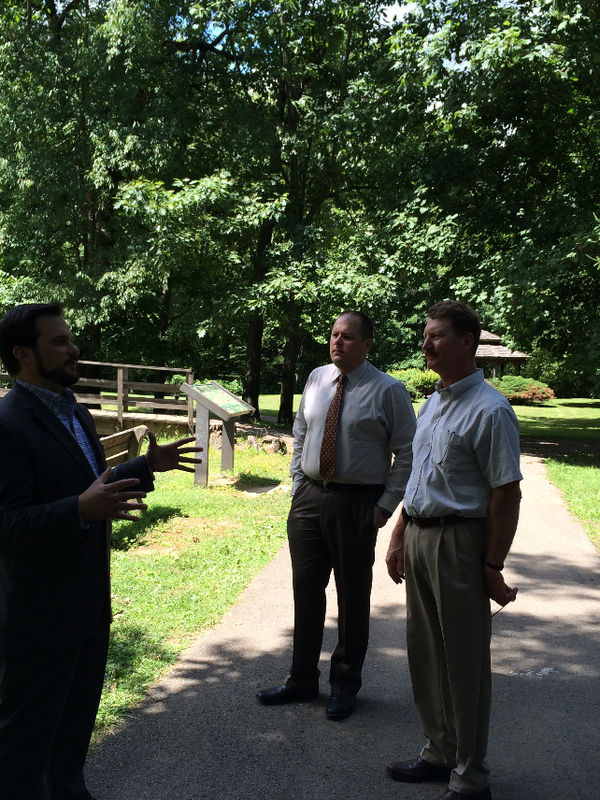 (Beaver County) for improvements to Mill Creek Community Park. 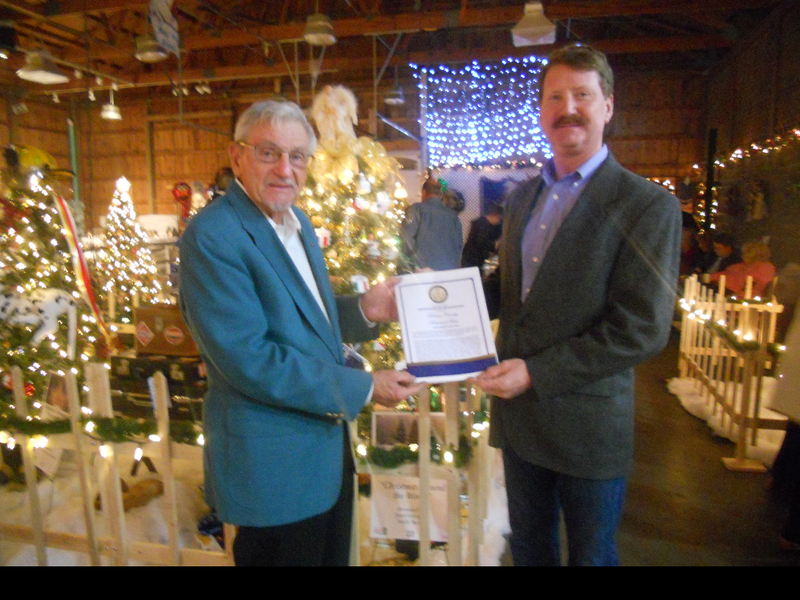 November 25, 2014 - Senator Vogel presented Ron Wisbith, Beaver County Festival of Trees chairman, a certificate commemorating the festival’s 25th anniversary. 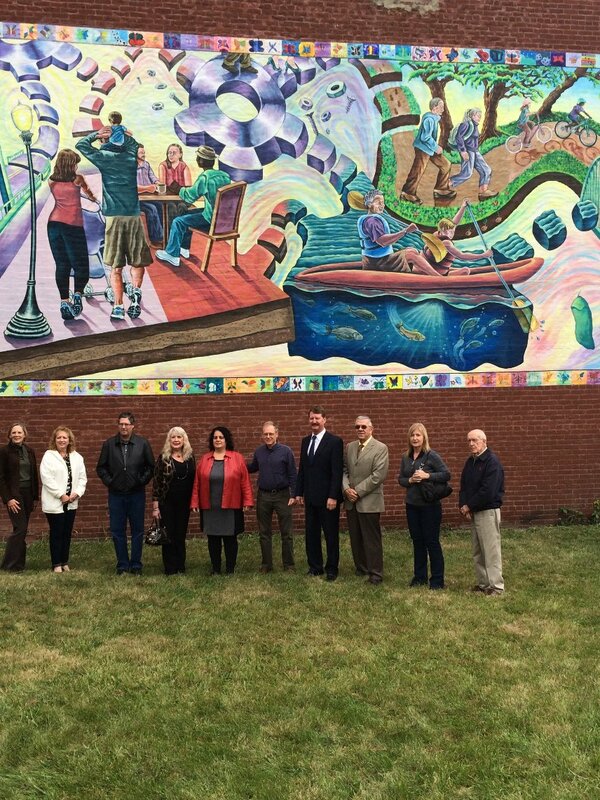 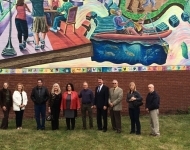 October 9, 2014 - Senator Vogel attended the dedication of the "A Vital and Connected Rochester" mural in downtown Rochester. 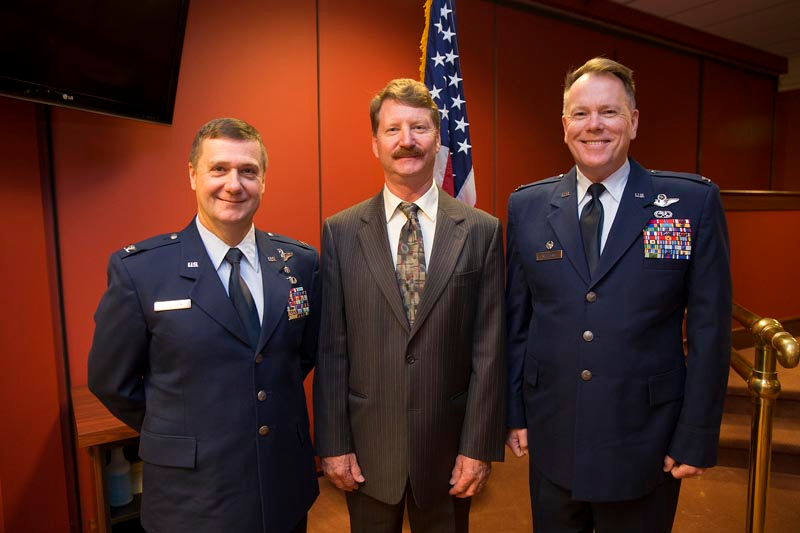 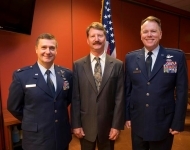 October 8, 2014 - Congratulations to Colonel Alan K. Hodgdon (left) of Darlington and Colonel Edward E. Metzgar (right) of Chippewa on their confirmation as Brigadier Generals, Pennsylvania Air National Guard. 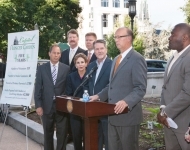 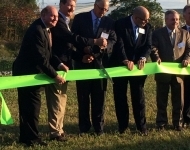 October 7, 2014 - Senator Vogel and the Legislative Hunger Caucus marked this season's closing of the Capitol Hunger Garden. 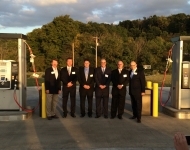 October 7, 2014 - Senator Vogel met with Michelle Muth, Cynthia Junkin, and music therapy students from Slippery Rock University in recognition of Music Therapy Month in PA.
September 25, 2014 - Senator Vogel participated in the grand opening of BEEMAC Trucking's compressed natural gas fueling station at 3099 Duss Ave, Ambridge. 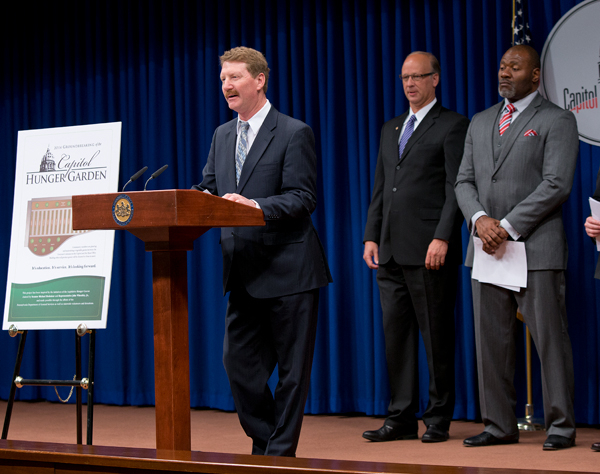 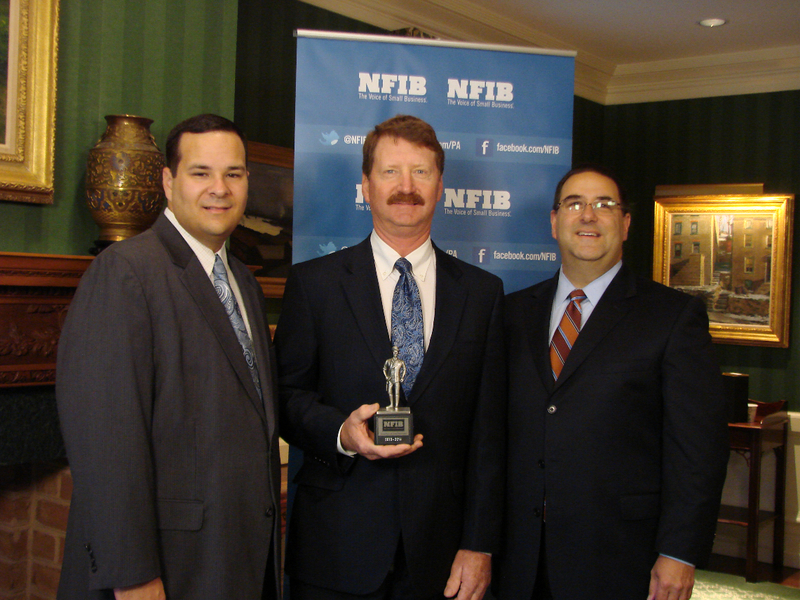 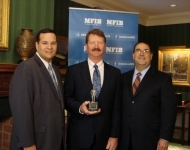 September 23, 2014 - Senator Vogel is recognized as a "Guardian of Small Business" by the National Federation of Independent Businessses for a 100% voting record on behalf of Pennsylvanian small businesses. 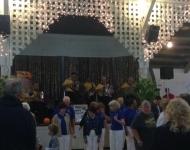 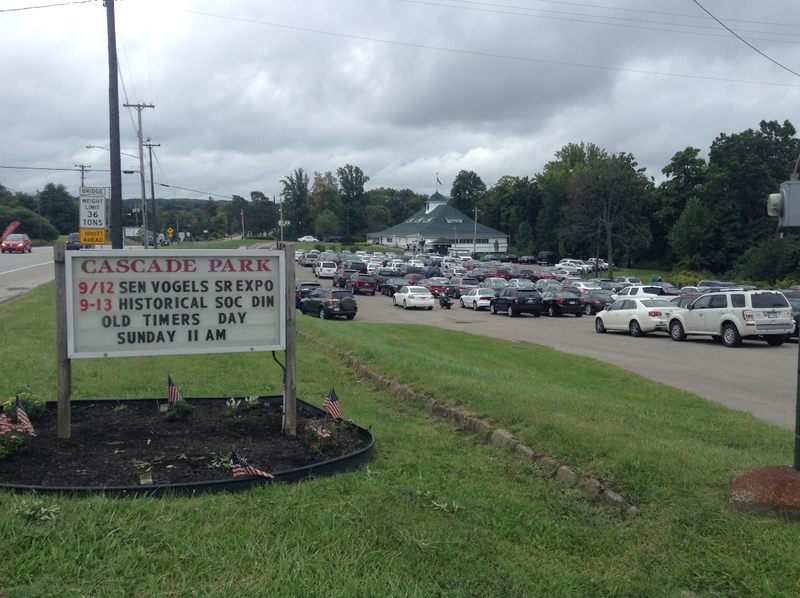 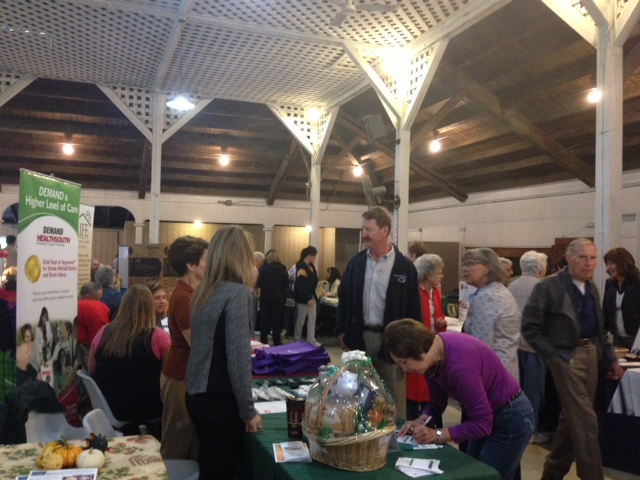 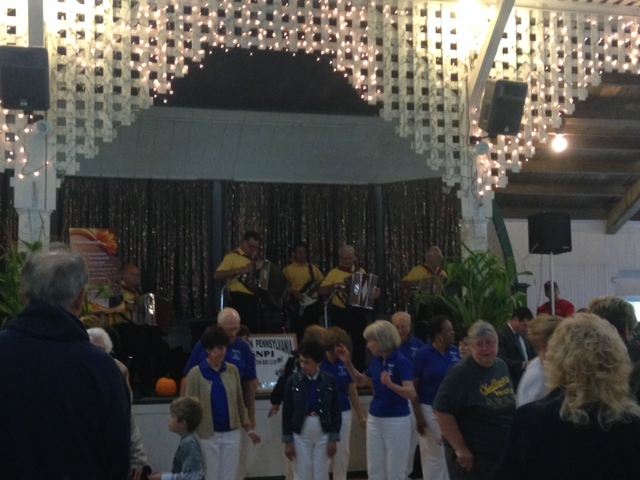 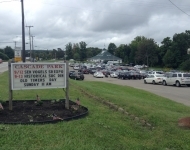 September 12, 2014 - Senator Vogel hosted his annual 55+ Senior Expo at Cascade Park in New Castle. Over 450 local seniors were in attendance. 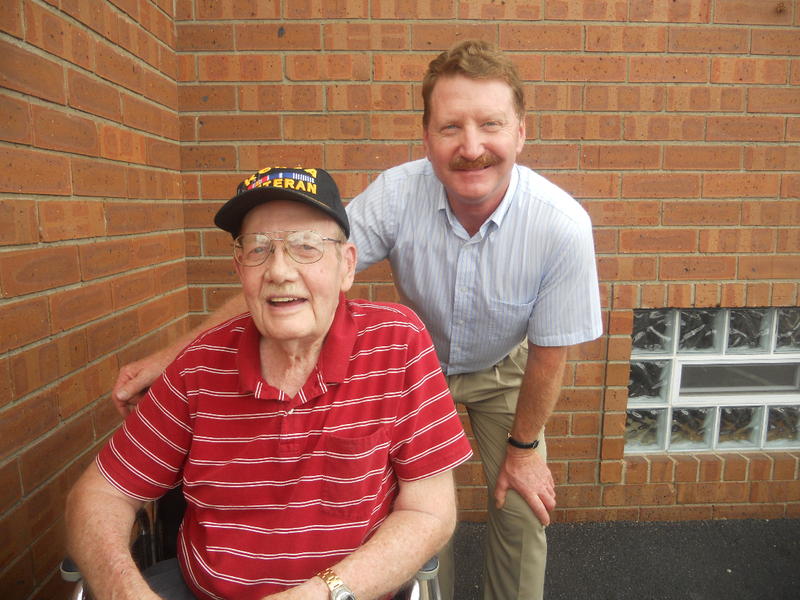 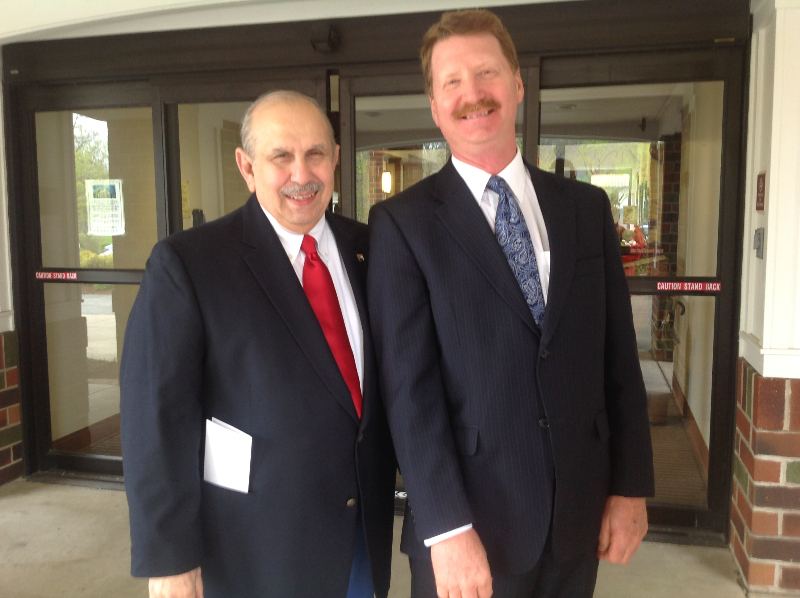 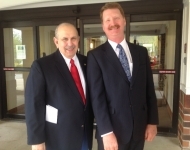 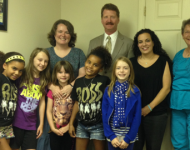 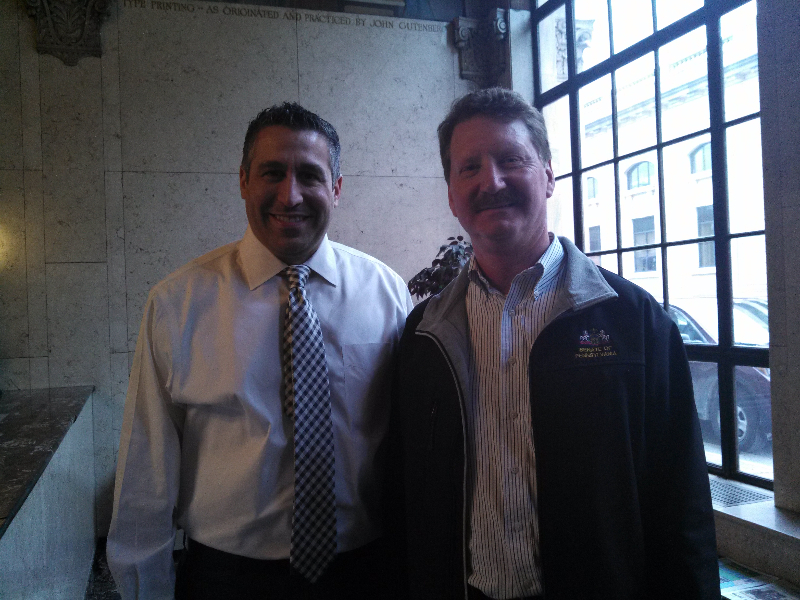 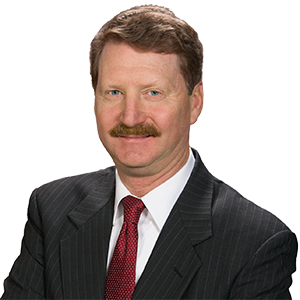 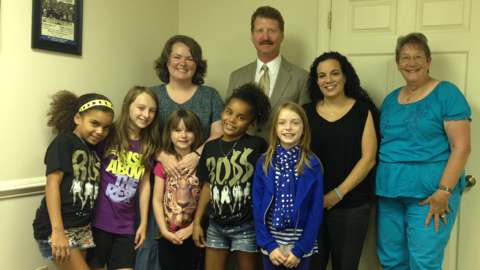 September 4, 2014 – Senator Vogel presents Mr. David Widmer P.L.S. a senatorial citation commemorating his installation as President of the National Council of Examiners for Engineering and Surveying (NCEES). 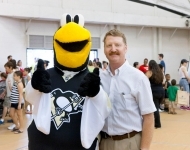 Mr. Widmer is President of Widmer Engineering Inc located in Beaver Falls and is the first Pennsylvanian to be installed as President of the NCEES. 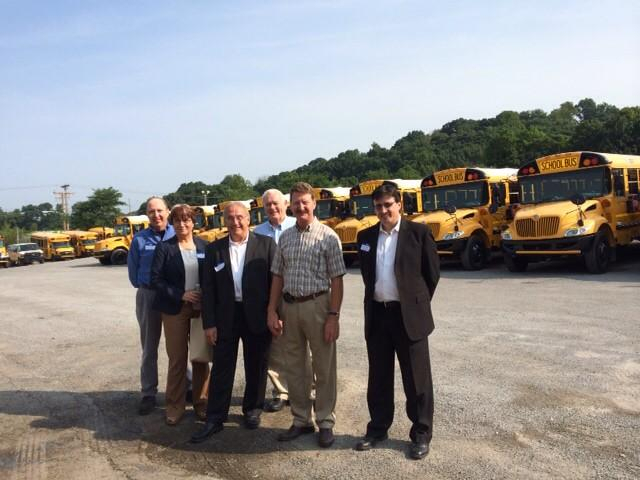 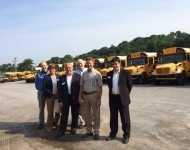 August 8, 2014 – Senator Vogel meets with members of the Pennsylvania School Bus Association at R.J. Rhodes Transit, Inc., in Ambridge to discuss Senator Vogel’s legislation recently passed into law, Act 85 of 2014. 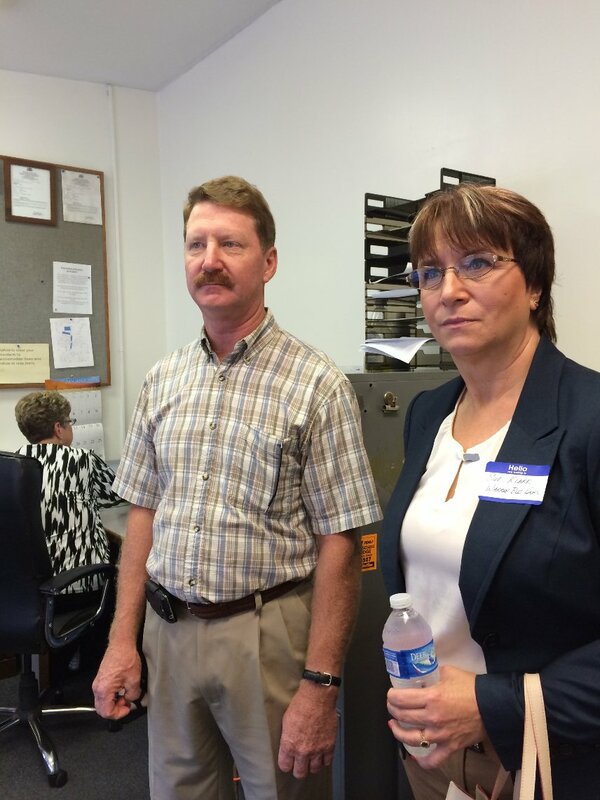 August 8, 2014 – Senator Vogel and Sue Klark, vice-chair of the PA School Bus Association (PSBA) legislative committee, during Senator Vogel’s recent meeting with the PSBA regarding Act 85 of 2014. 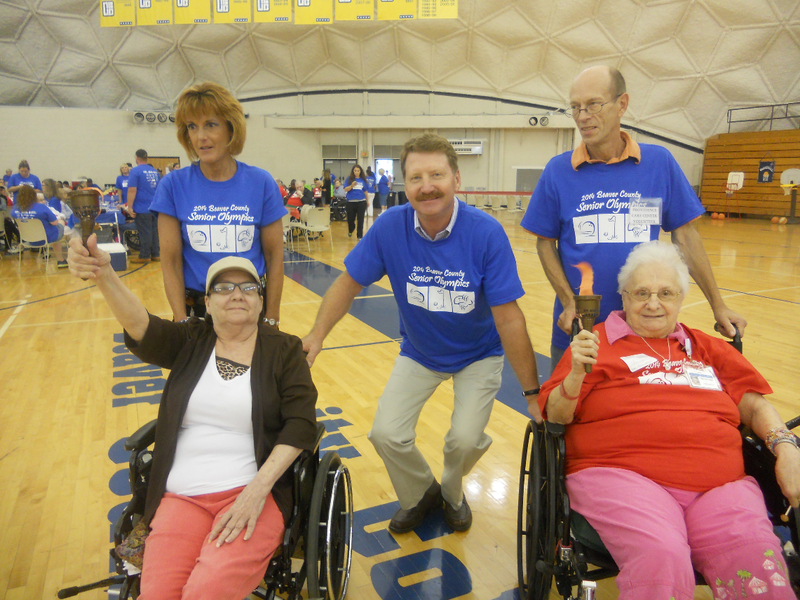 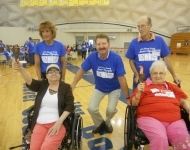 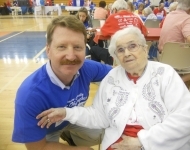 August 6, 2014 - Senator Vogel attended the 2014 Beaver County Senior Olympics held at the Community College of Beaver County. 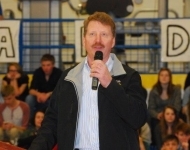 He was the master of ceremonies and presented each participant with a certificate of recognition. 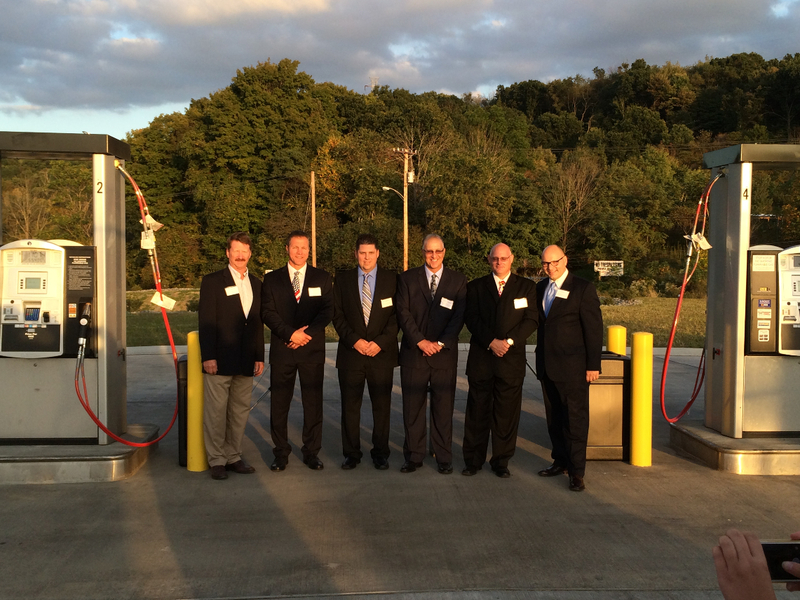 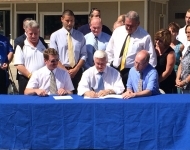 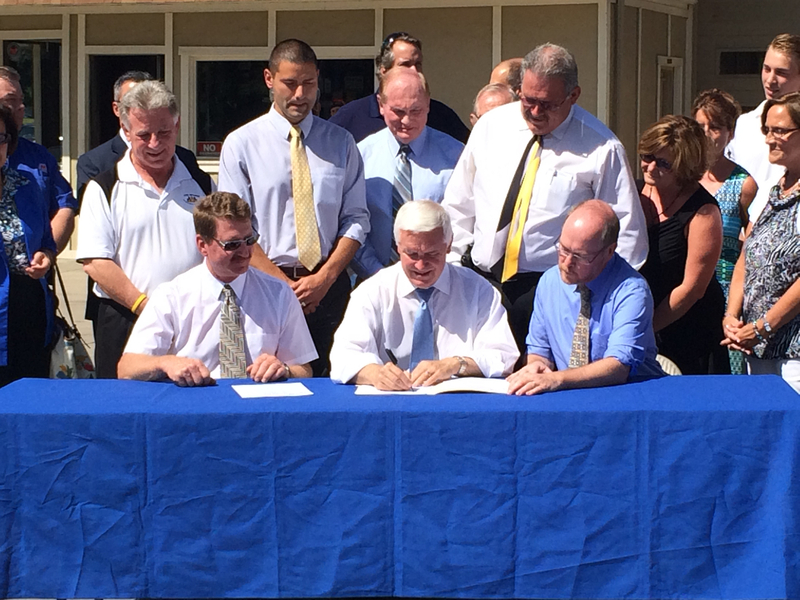 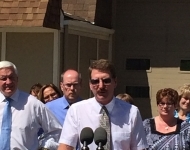 July 25, 2014 – Signing ceremony for Senator Vogel’s legislation, Senate Bill 1037, at Guy’s Service Station, New Sewickley Twp. 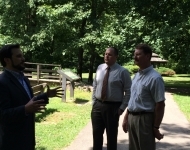 July 17,2014 - Senator Vogel toured YMCA’s Camp Kon-O-Kwee in Beaver County and was briefed on current programs at the camp. 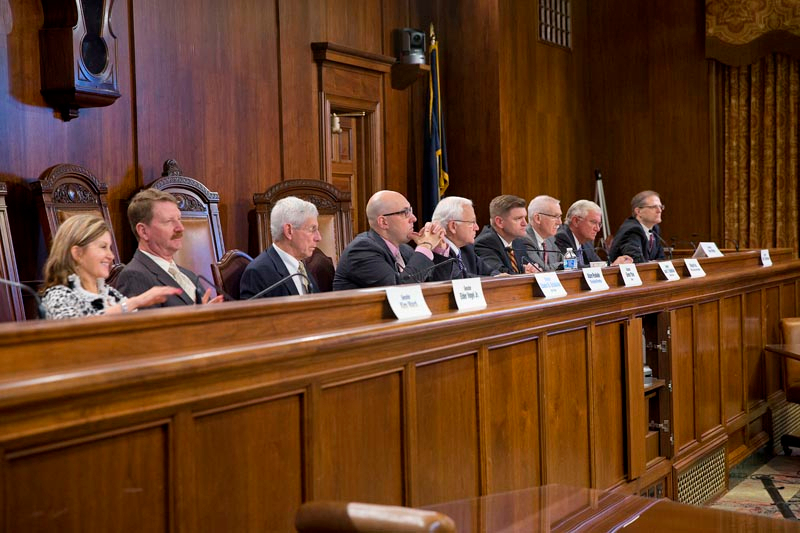 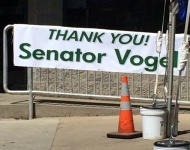 July 16, 2014 - Senator Vogel attended an Ag. 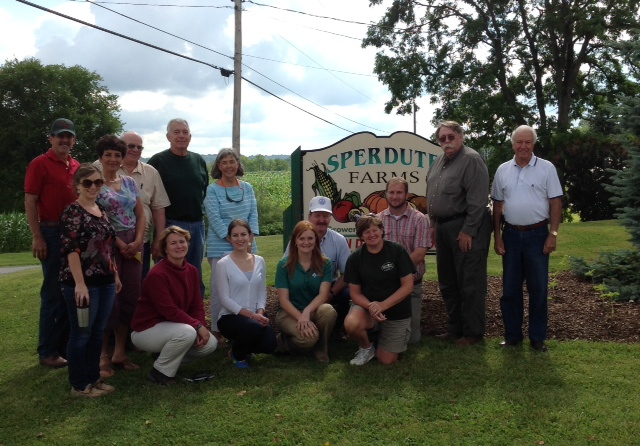 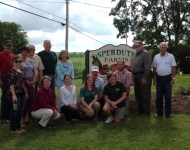 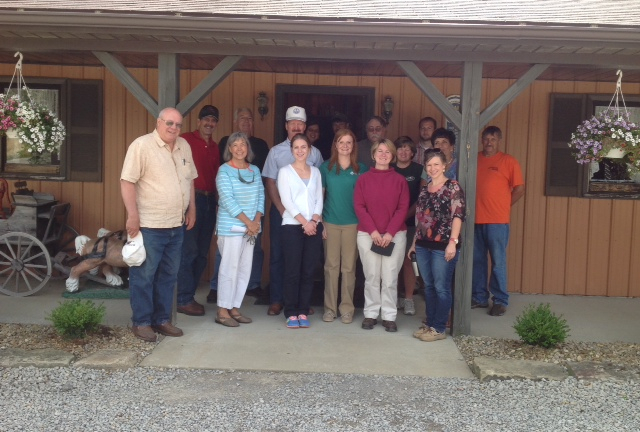 Network meeting at Sperdute Farms, Lawrence County. 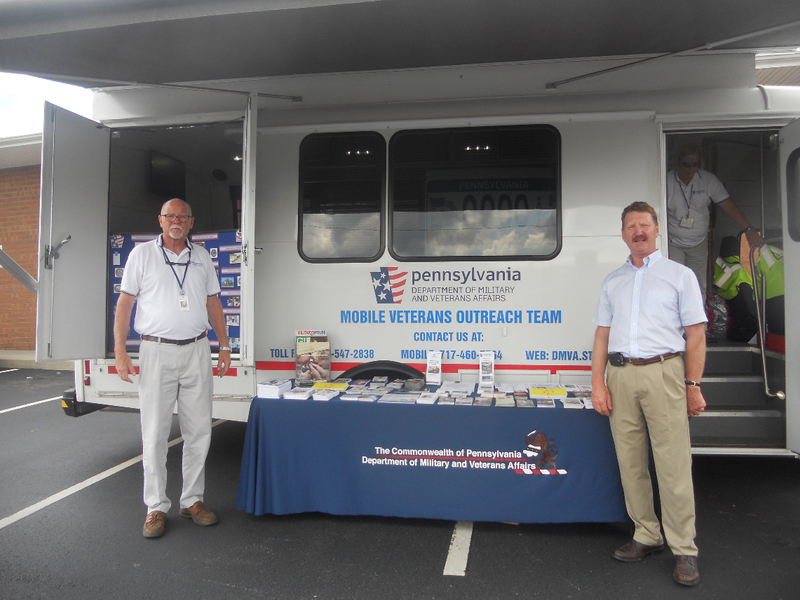 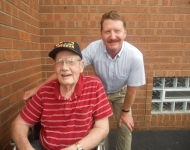 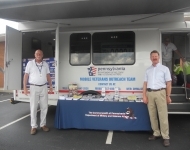 July 10, 2014 – Senator Vogel hosts the Department of Military and Veteran Affairs Mobile Outreach Team at the Rochester VFW to speak to local veterans about the VA, benefits owed to them as result of their service, and other concerns of theirs. 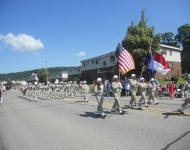 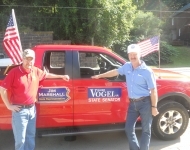 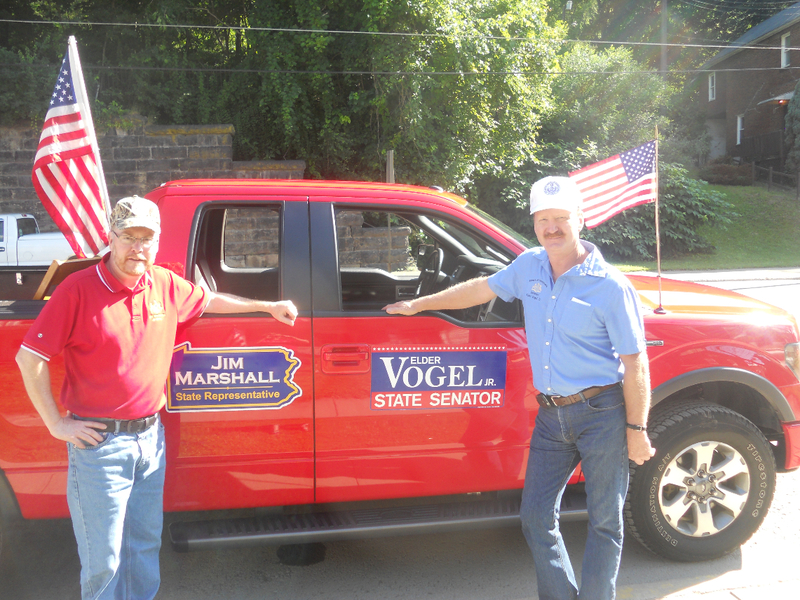 July 4, 2014 - Senator Vogel and Representative Marshall participated in Midland’s July 4th Parade. 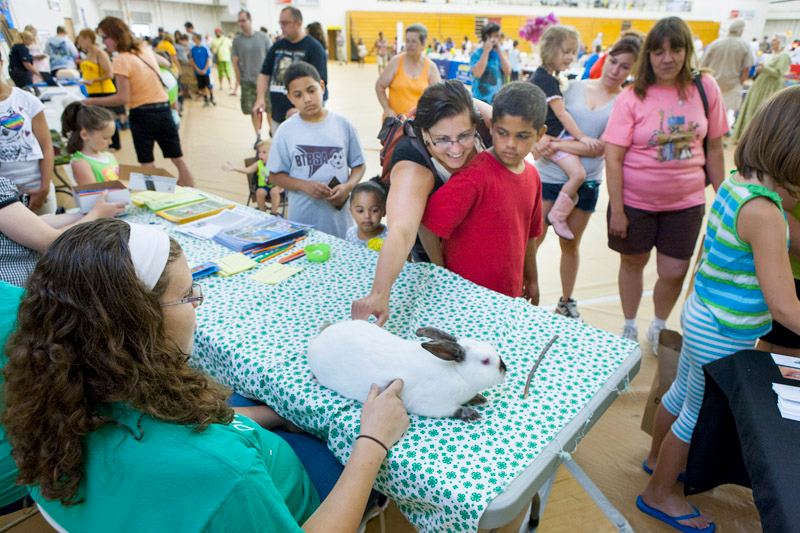 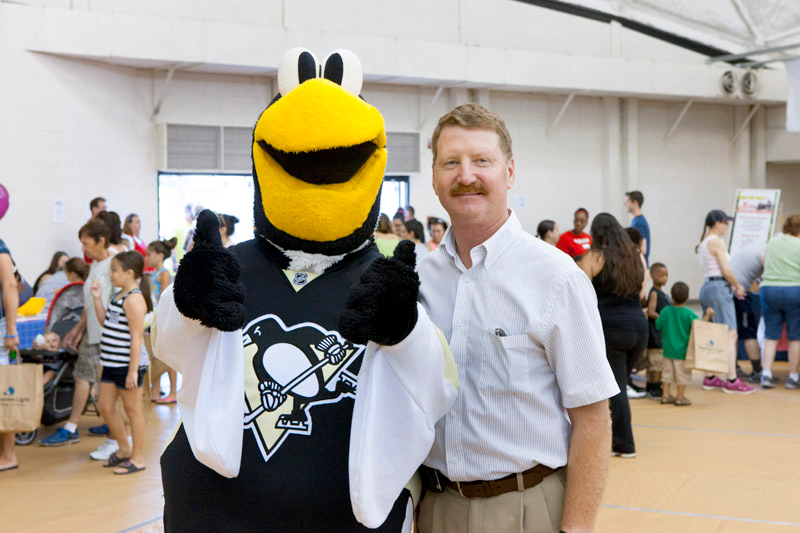 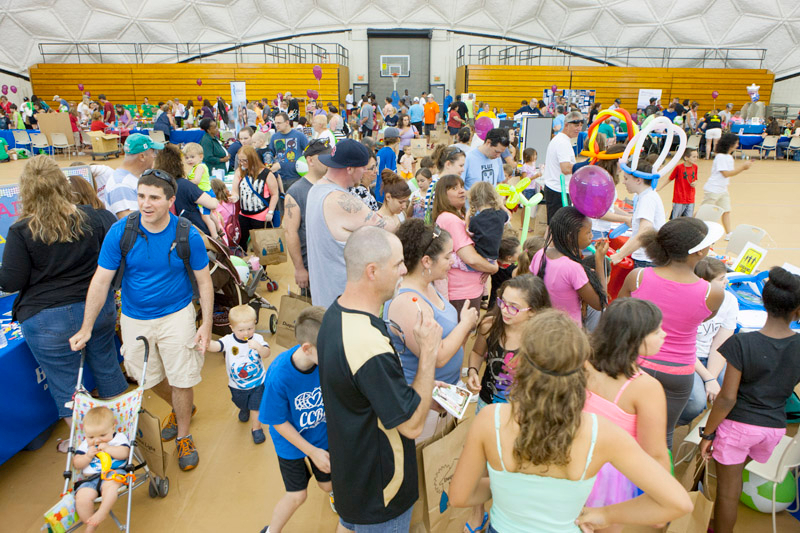 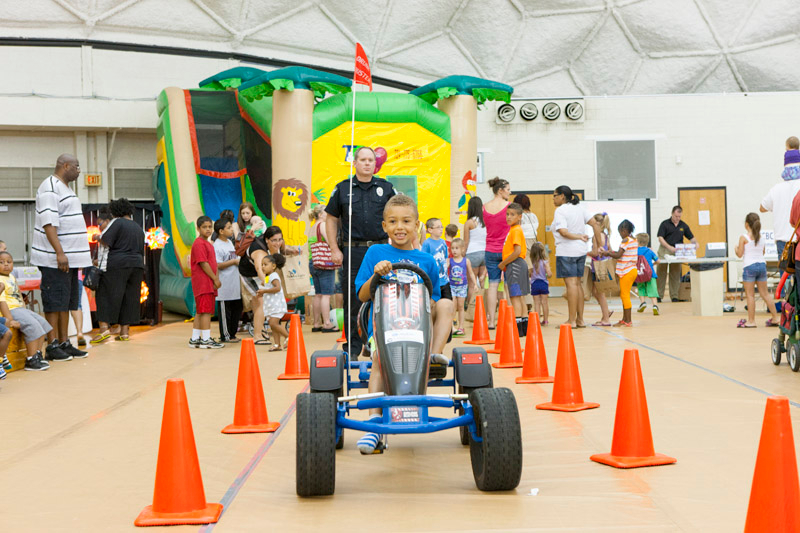 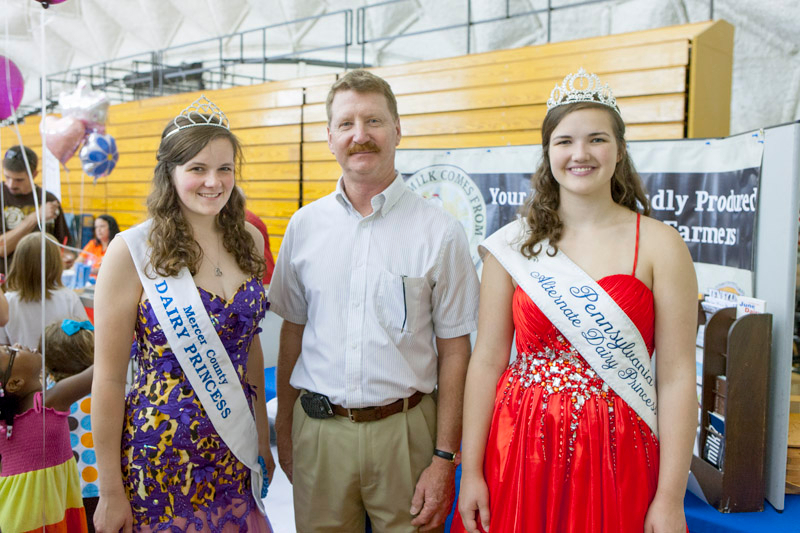 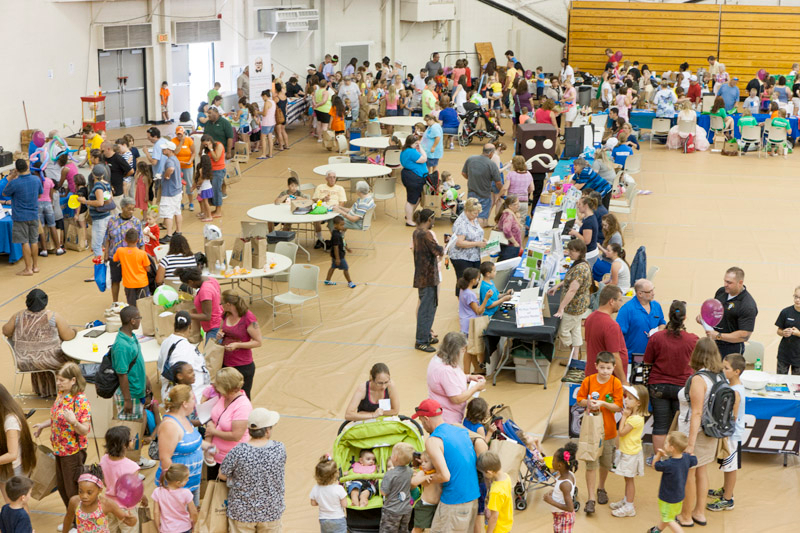 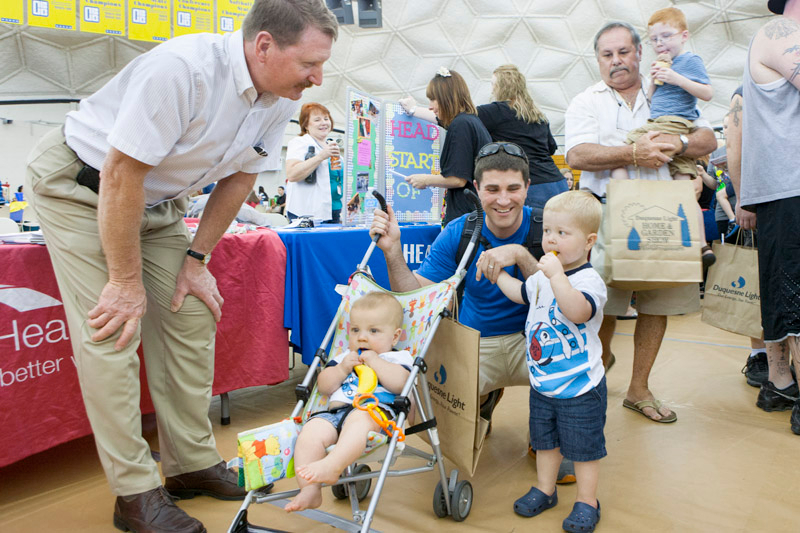 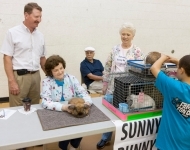 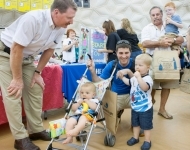 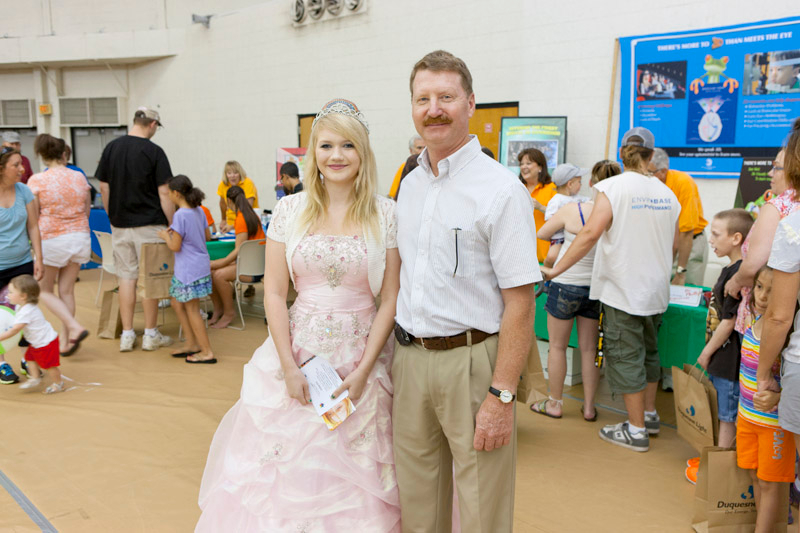 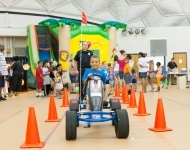 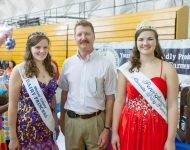 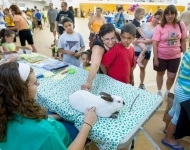 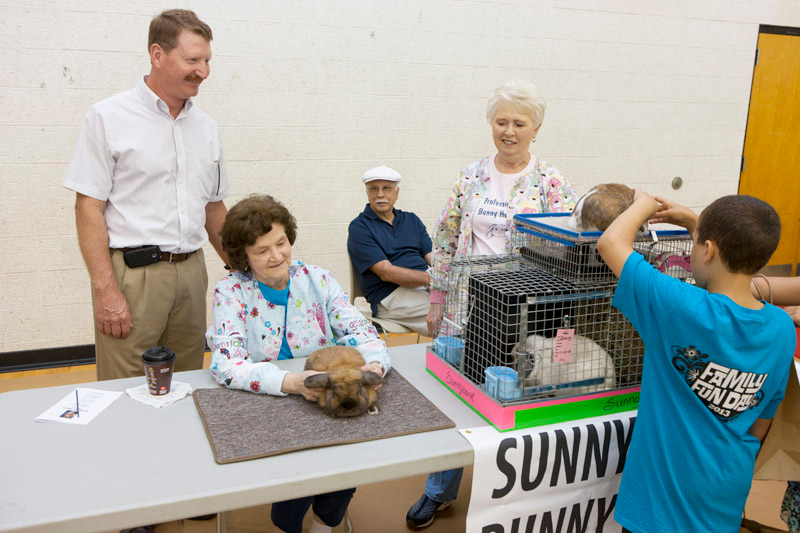 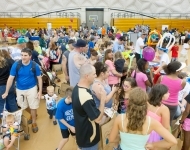 June 28, 2014 - Senator Vogel hosts his Annual Kids Extravaganza at the Community College of Beaver County Dome in Monaca. 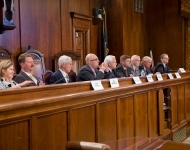 June 27, 2014 - Senate Environmental Resources & Energy Committee held a hearing on the Environmental Protection Agency’s Clean Power Plan. 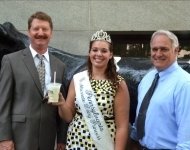 June 17, 2014 - Senator Vogel had a moment to enjoy a milkshake on a 90 degree day in the Capitol with Department of Agriculture Secretary Greig and the Alternate Dairy Princess. 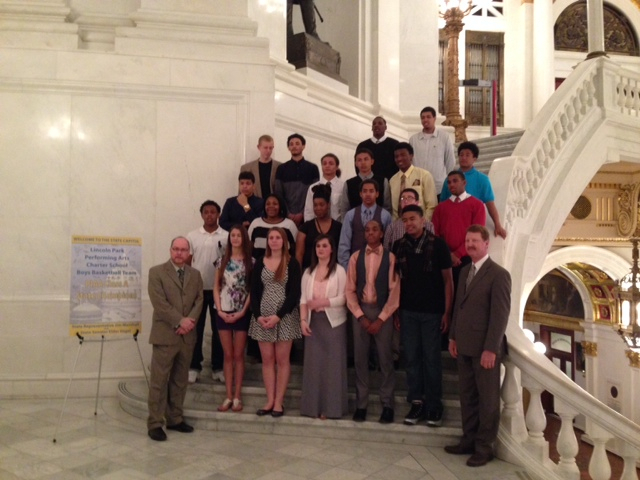 June 4, 2014 - It was a pleasure to host the WPIAL and PIAA Class AAAA Basketball Champions, the New Castle Hurricanes! 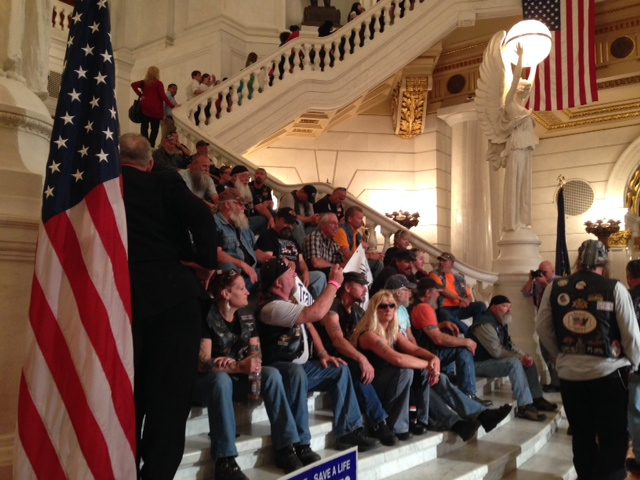 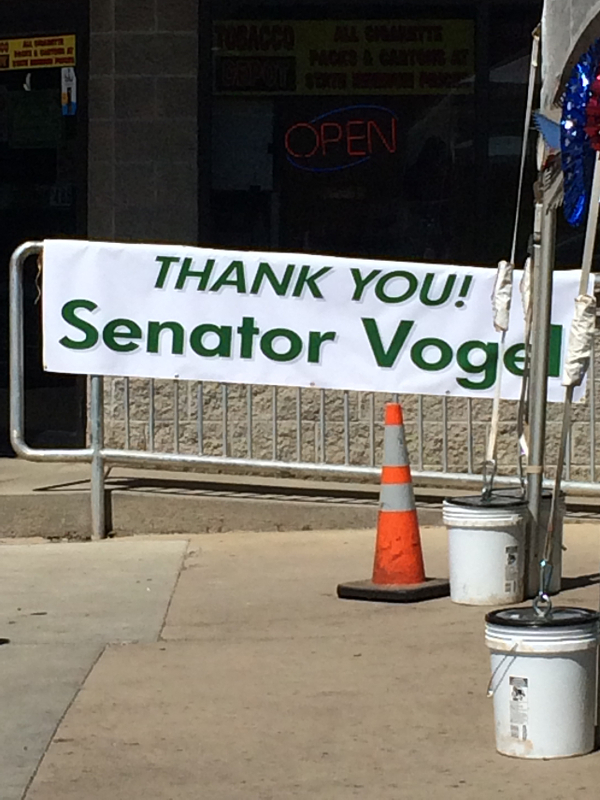 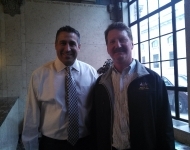 June 2, 3014 - Senator Vogel had a chance to stop by at the ABATE rally that was held in Harrisburg. 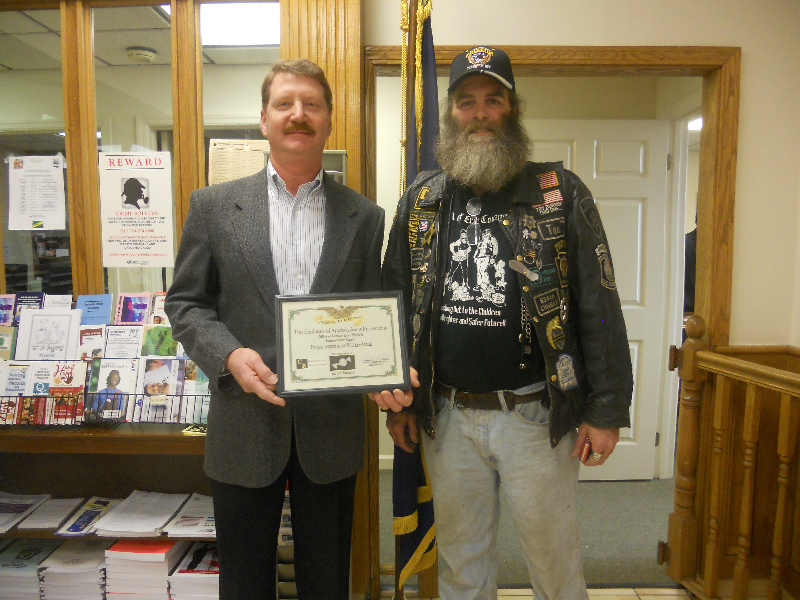 ABATE stands for the Alliance of Bikers Aimed Toward Education. 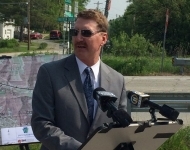 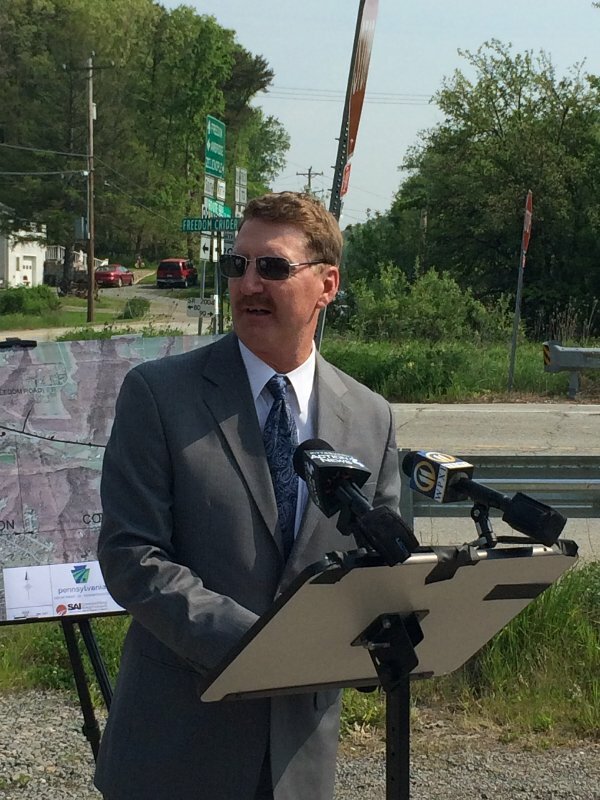 May 27, 2014 - Senator Vogel and PennDOT officials announce the completion of the final leg of Freedom Road between Cranberry and Route 65. 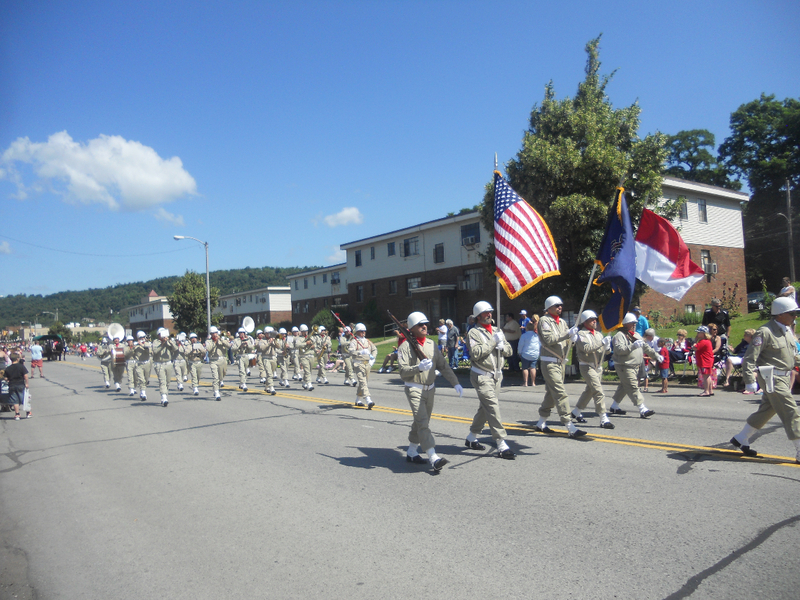 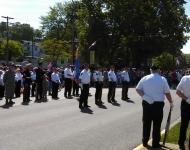 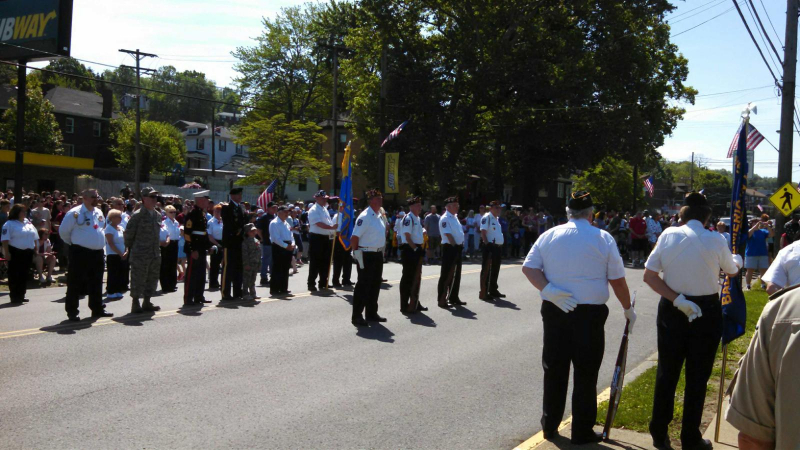 May 26, 2014 - Special thanks to the Baden American Legion Post 641 who presented the colors at the Baden Memorial Day Parade. 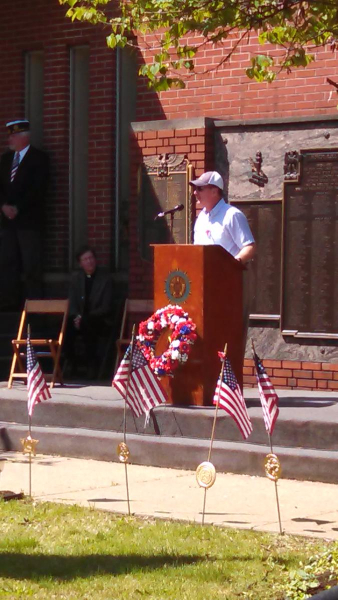 May 26, 2014 - Senator Vogel was honored to be asked to be a guest speaker at the Baden Memorial Day Parade. 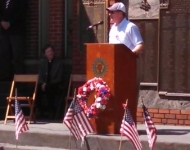 What a great event to say thanks to those who have served this great nation! 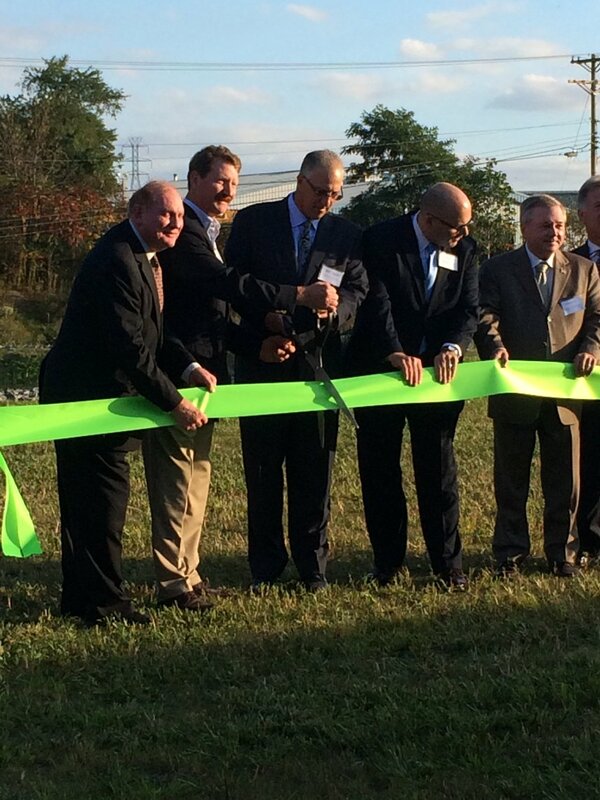 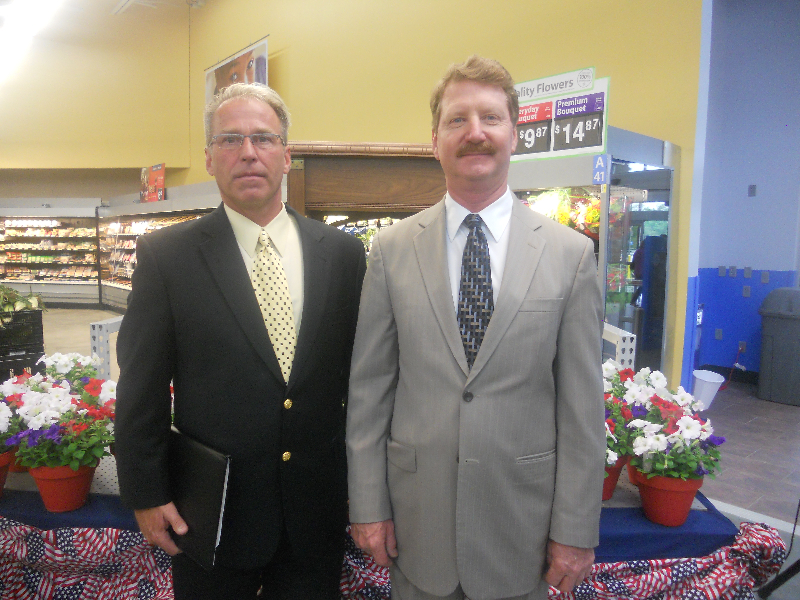 May 21, 2014 - Senator Vogel joined Economy Borough Mayor David Poling at the grand opening of the Economy Walmart. 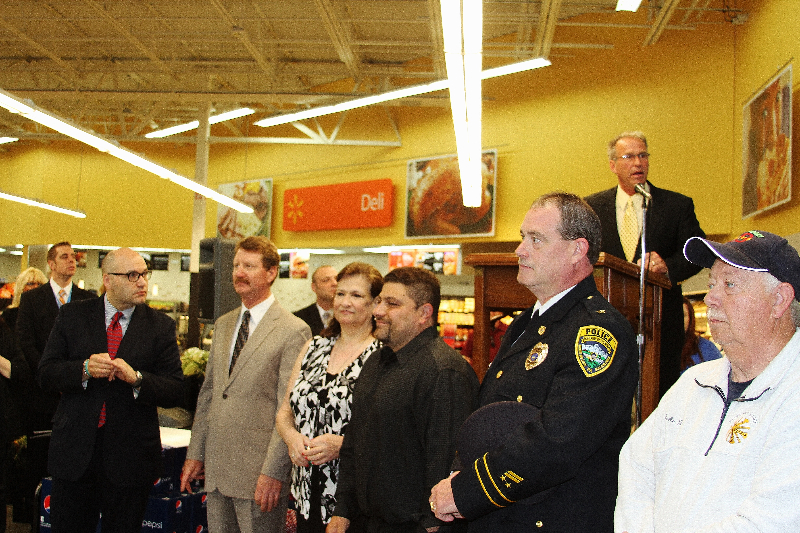 May 21, 2014 - Economy Mayor speaks to the crowd at the Grand Opening of the Economy Walmart. 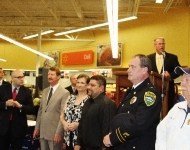 In attendance, Senator Vogel, Economy Police Chief, Fire Chief, and Council Members. 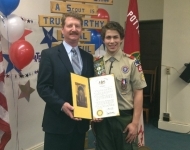 May 7, 2014 - Senator Vogel presents a Certificate of Recognition to Timothy Waxenfelter from Quigley Catholic High School. 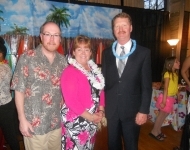 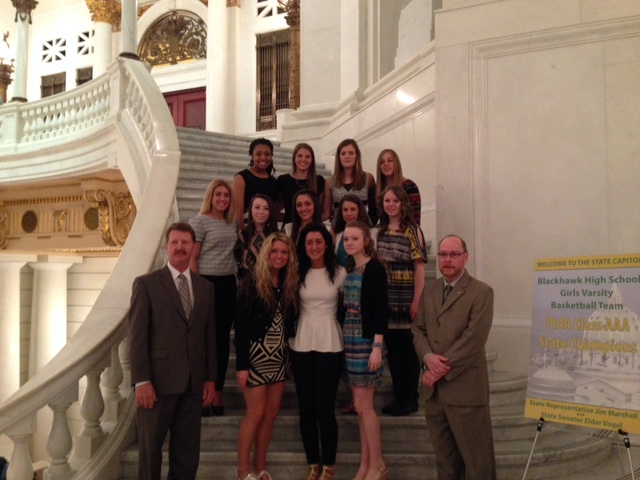 The Teacher of the Year Award was presented by the PA Affiliate of the Council on American Private Education. 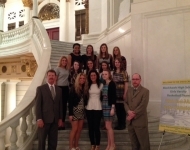 May 5, 2014 - Senator Vogel, along with Representative Marshall, welcomed the Blackhawk High School Girls Varsity Basketball Team and congratulated them on winning the PIAA Class AAA State Championship. 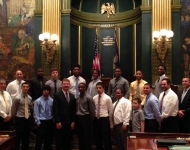 May 5, 2014 - Senator Vogel, along with Representative Marshall, welcomed the Lincoln Park Performing Arts Charter School Boys Basketball team and congratulated them on winning the PIAA Class A State Championship. 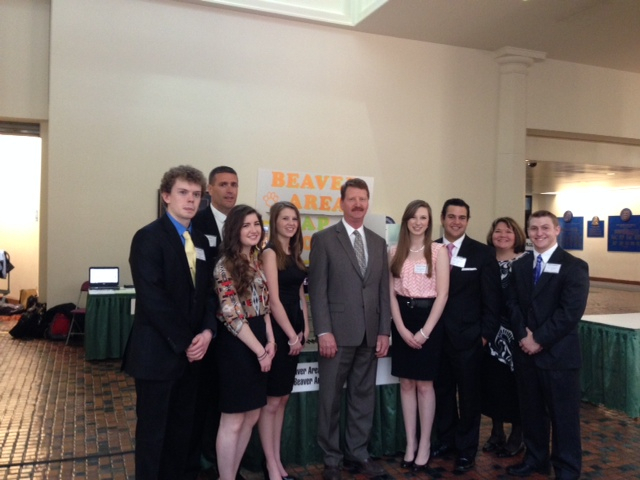 May 5, 2014 - The Beaver Area School District Middle and High School students visited the Capitol to show their Student Technology Assistance Program (STAP) project. 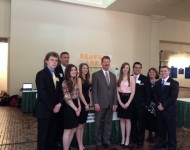 Senator Vogel was pleased to see their hard work showcased in Harrisburg. 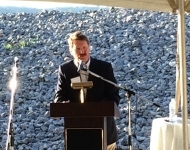 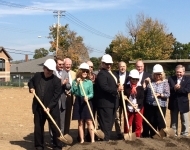 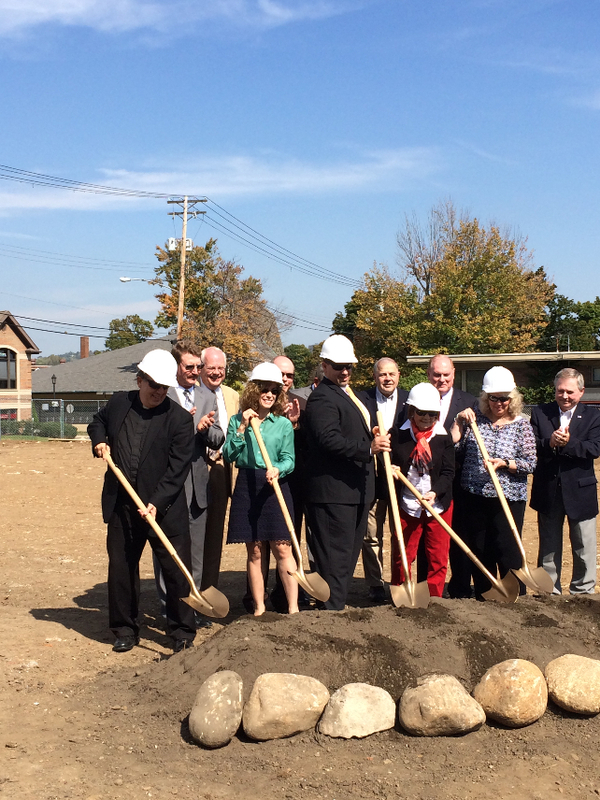 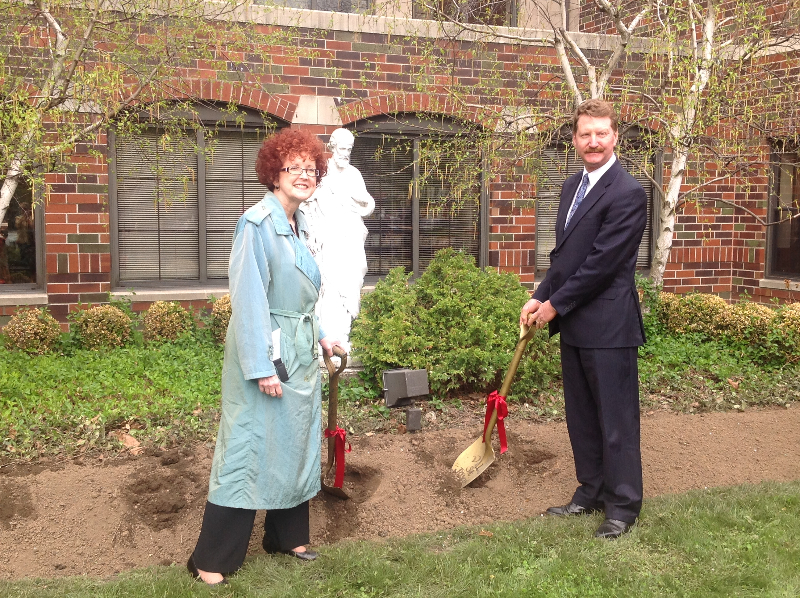 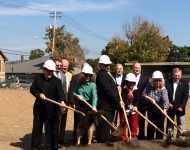 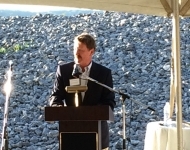 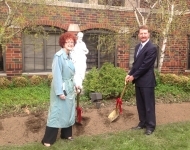 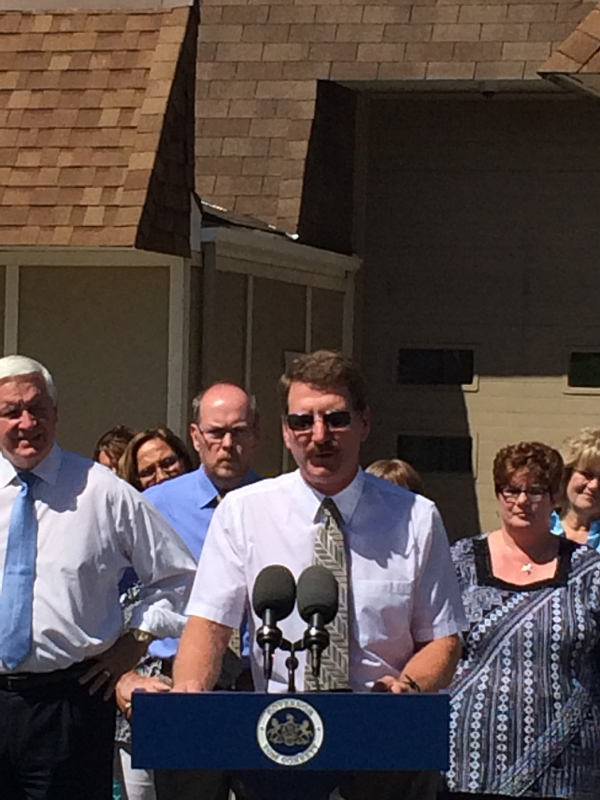 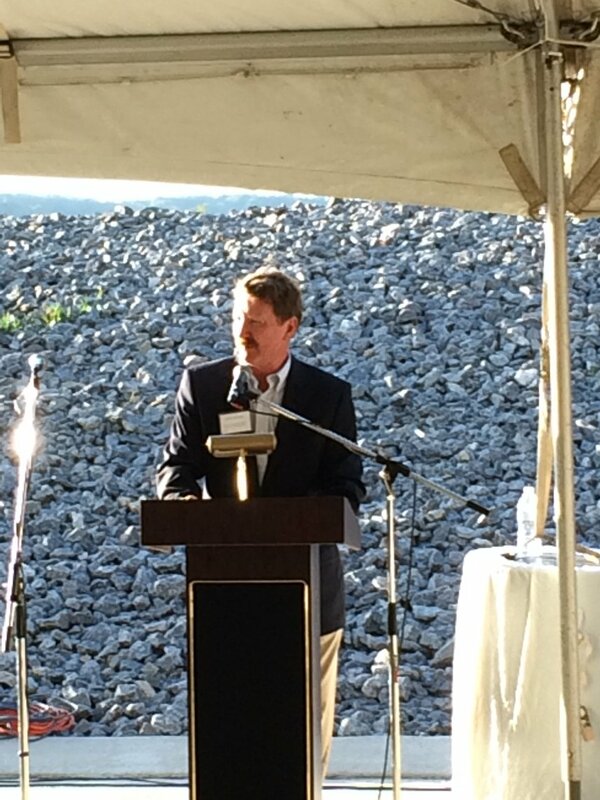 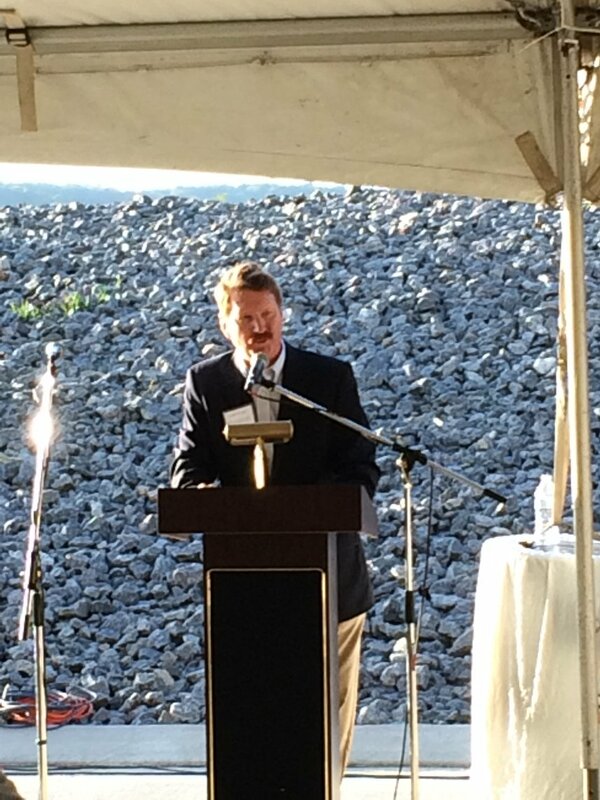 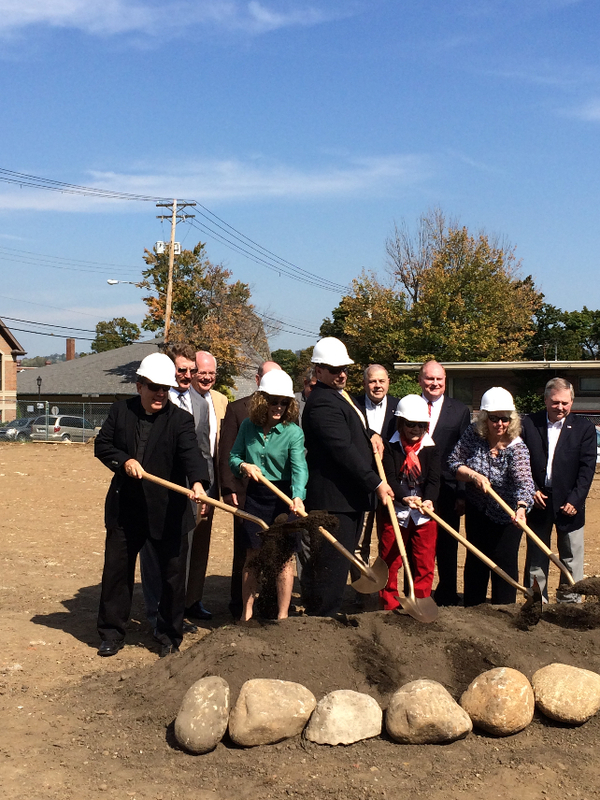 May 2, 2014 - Senator Vogel was honored to attend the groundbreaking ceremony at the Villa at St. Joseph's in Baden. 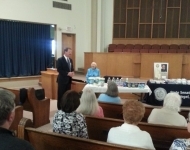 May 2, 2014 - Senator Vogel, along with AARP, hosted a Consumer Education Seminar at the Albert P. Gettings Government Center Annex in New Castle. 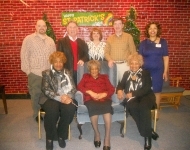 Special thanks to the AARP sponsored speaker, Mary Bach. April 29, 2014 - Senator Vogel attended the groundbreaking ceremony for the Capitol Hunger Garden. 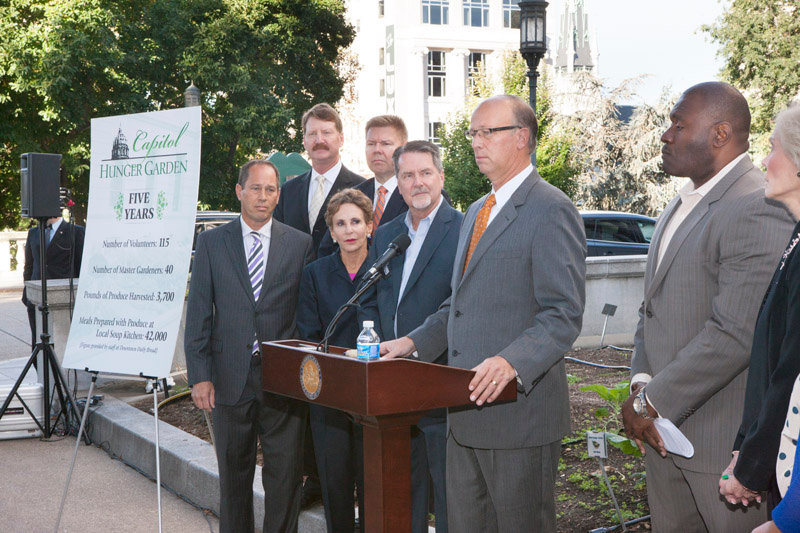 In 2010, the Capitol Hunger Garden was established adjacent to the State Capitol Building in Harrisburg with the intent to grow healthy food for those at risk for hunger and food insecurity. 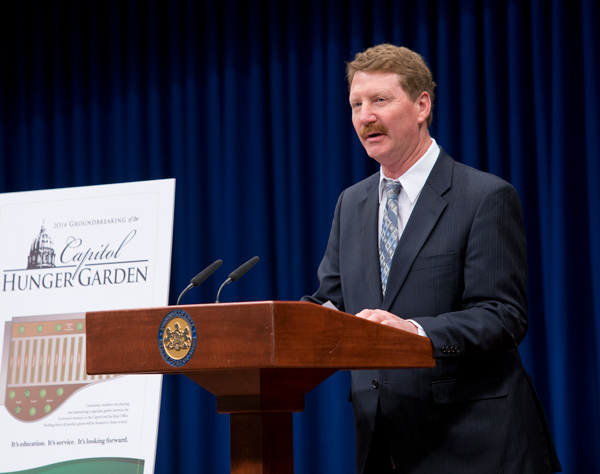 Since then, the Capitol Hunger Garden has provided thousands of pounds of fresh produce to food banks while serving as a valuable educational tool to promote hunger awareness. 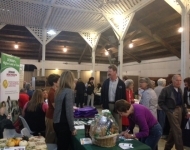 The garden is staffed entirely by volunteers and funded by donations from businesses, organizations and private donors. 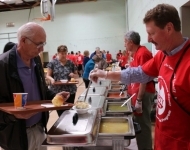 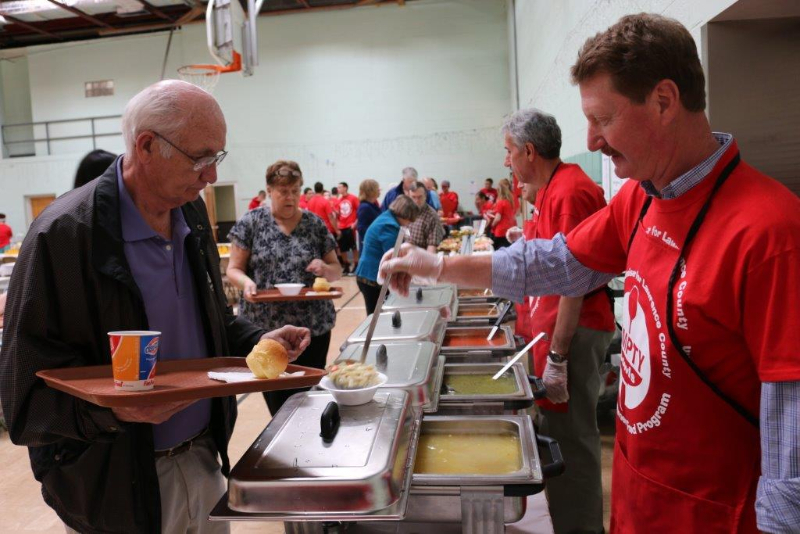 April 27, 2014 - Senator Vogel serves soup at the 2nd Annual Lawrence County Empty Bowls event at St. Camillus Parish in New Castle. 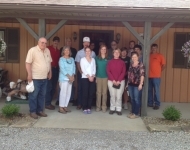 Proceeds benefit the Lawrence County Summer Food Service Program. 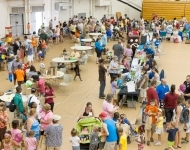 The Summer Food Service Program is designed to fill the nutrition gap during the summer months and make sure children can get the nutritious meals they need. 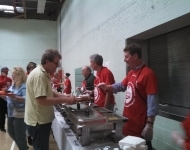 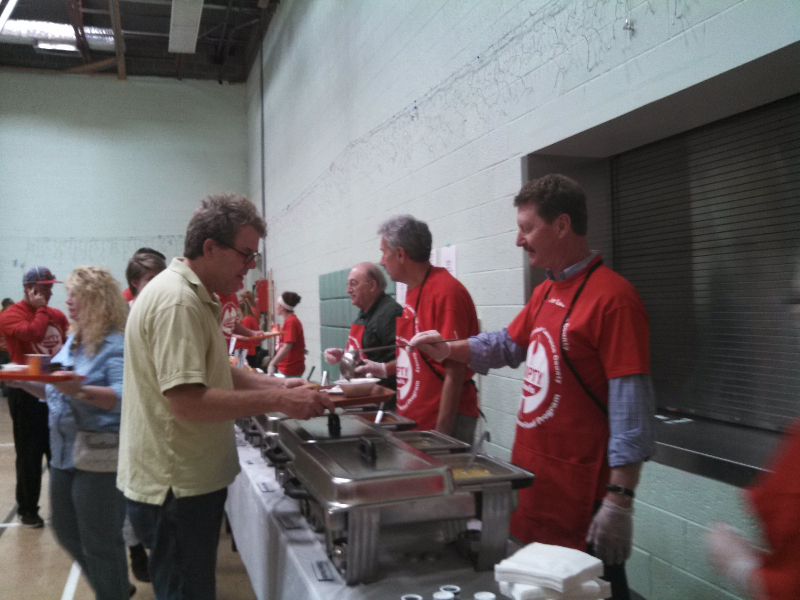 April 27th, 2014: Senator Vogel serves chicken noodle soup at the Lawrence County Empty Bowls event. April 24, 2014 - Senator Vogel and Representative Marshall talk with Lynell Scaff, Executive Director of Big Brothers Big Sisters Beaver County at their annual appreciation dinner. 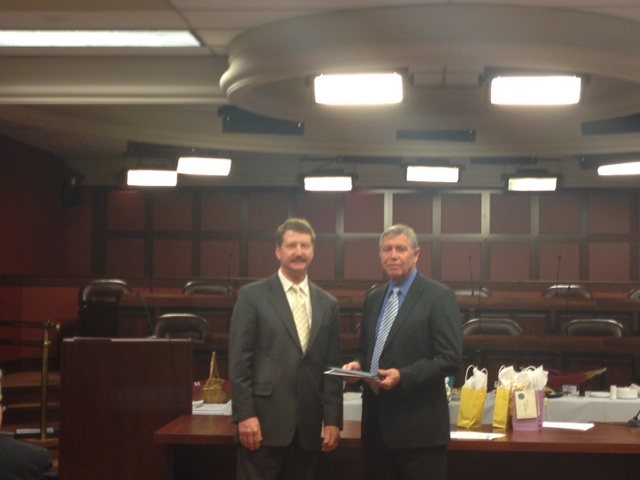 Senator Vogel presented certificates to the 5 year volunteers. 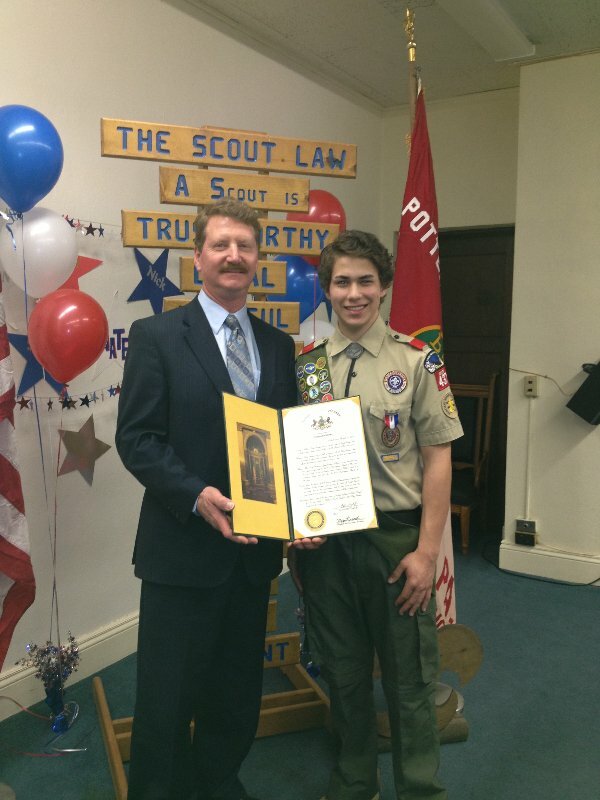 April 6, 2014 - Senator Vogel had the privilege of presenting Eagle Scout William Snyder with a senate citation congratulating him on achieving this great honor in scouting. 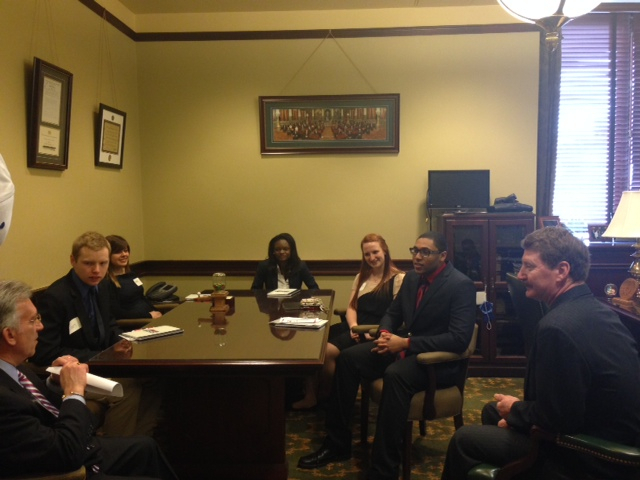 April 1, 2014 - Senator Vogel meets with some students from Robert Morris University while they were in the Capitol. March 27, 2014 - Senator Vogel congratulates Coach Blundo on New Castle High School’s 2014 Class AAAA state champion basketball team. 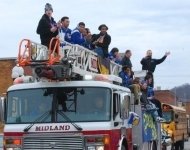 March 27, 2014 - Senator Vogel was honored to be asked to participate in the Pennsylvania Class A state champion basketball team’s parade in Midland. 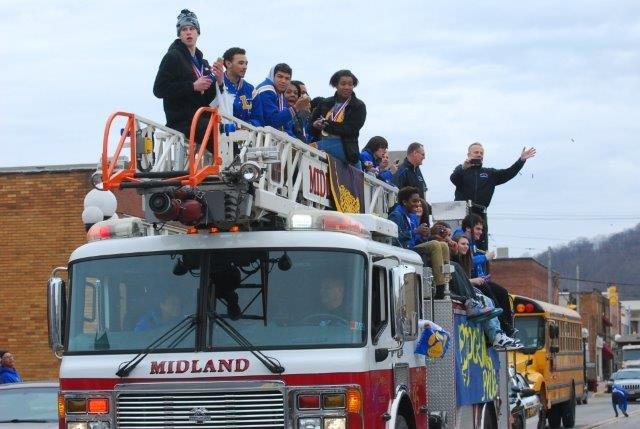 March 27, 2014 - The City of New Castle was out in full force showing their support for their state champion basketball team. 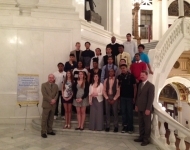 March 27, 2014 - Senator Vogel had the chance to say a few words honoring the Lincoln Park Performing Arts Charter School's 2014 Pennsylvania Class A state champion basketball team. 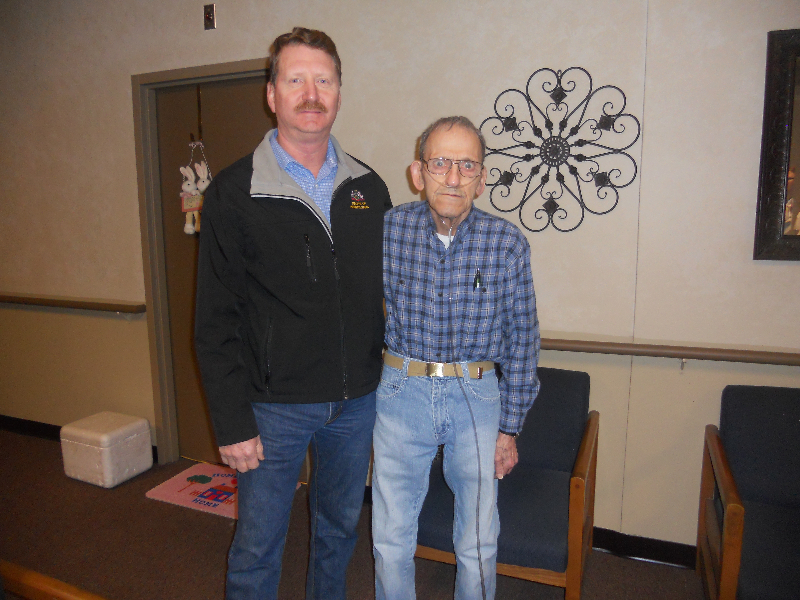 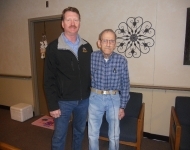 March 21, 2014 - Lutheran Service Society Meals on Wheels client Christian Krauss greets Senator Vogel as he delivers him his meals. 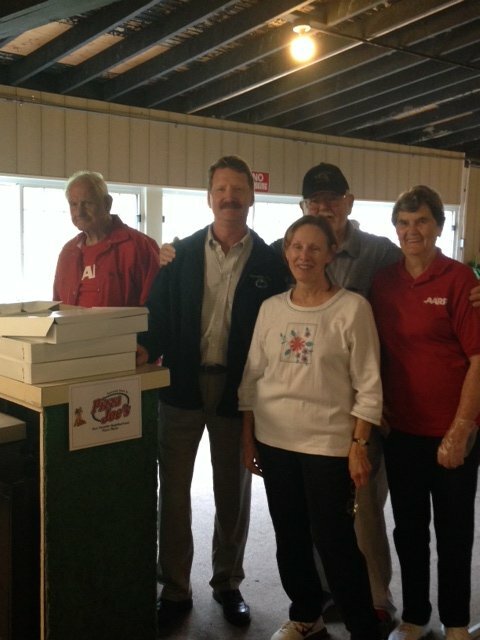 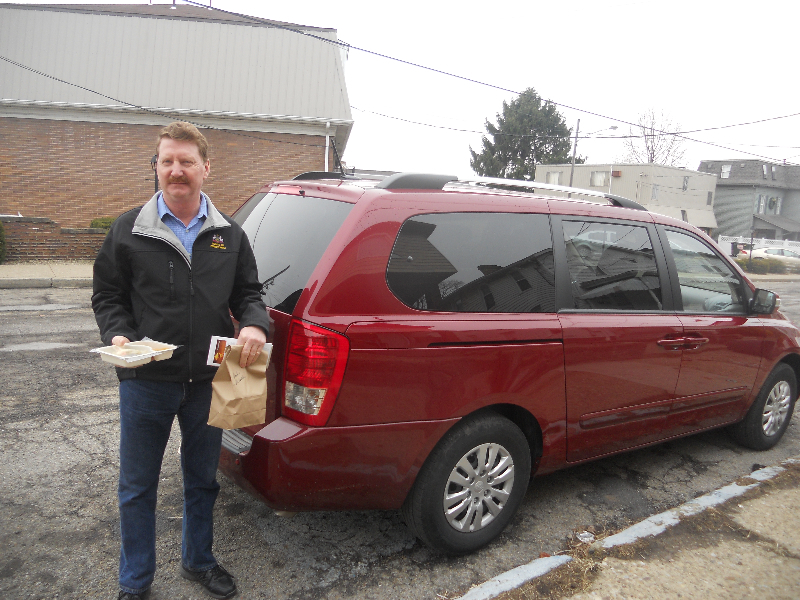 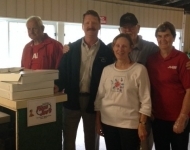 March 21, 2014 - Senator Vogel makes his first delivery with Lutheran Service Society Meals on Wheels. 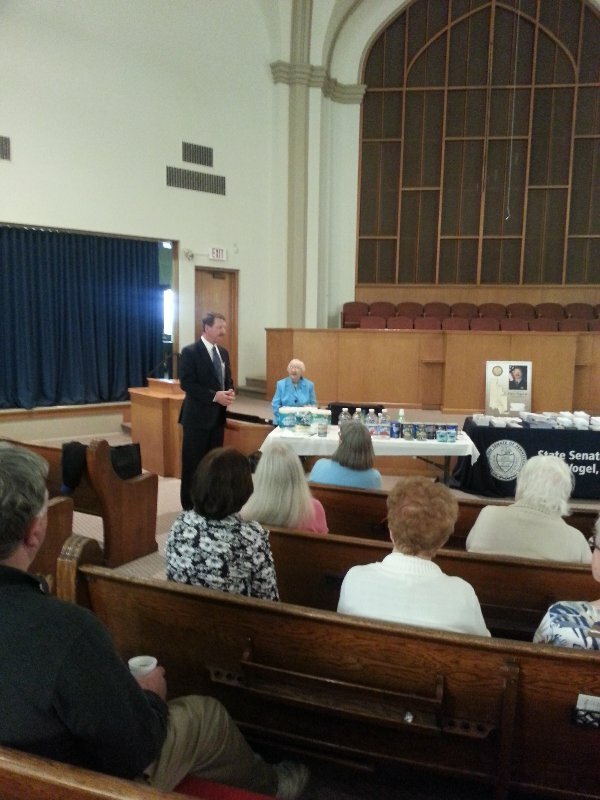 This program prepares hot and cold meals and distributes them to approximately 160 clients in Beaver County. 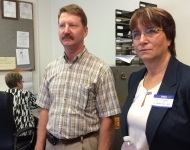 March 21, 2014 - Senator Vogel takes a tour of the kitchen to see the operation with Chief Development Officer, Patty Davidson and Maureen Martin, Site Coordinator at Grace Lutheran Church in Rochester. 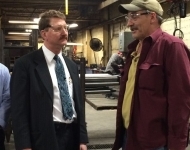 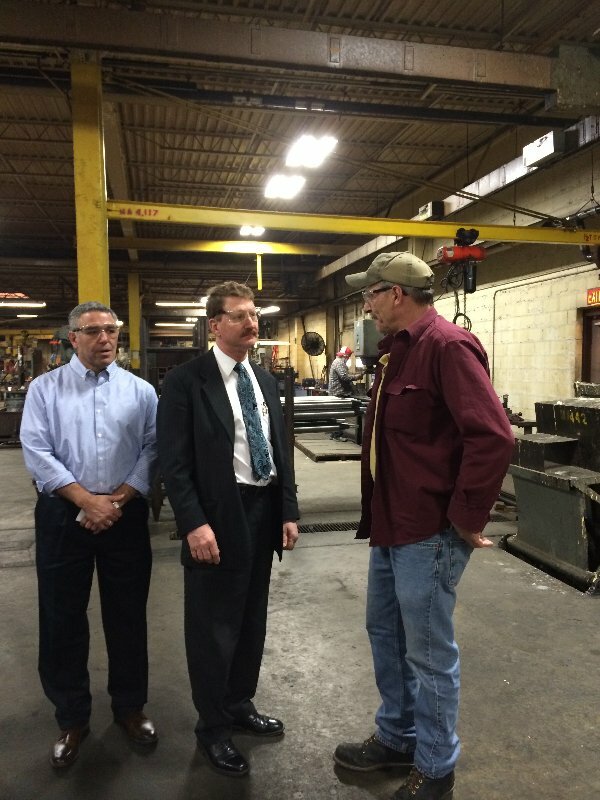 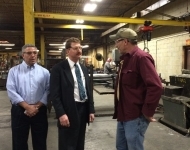 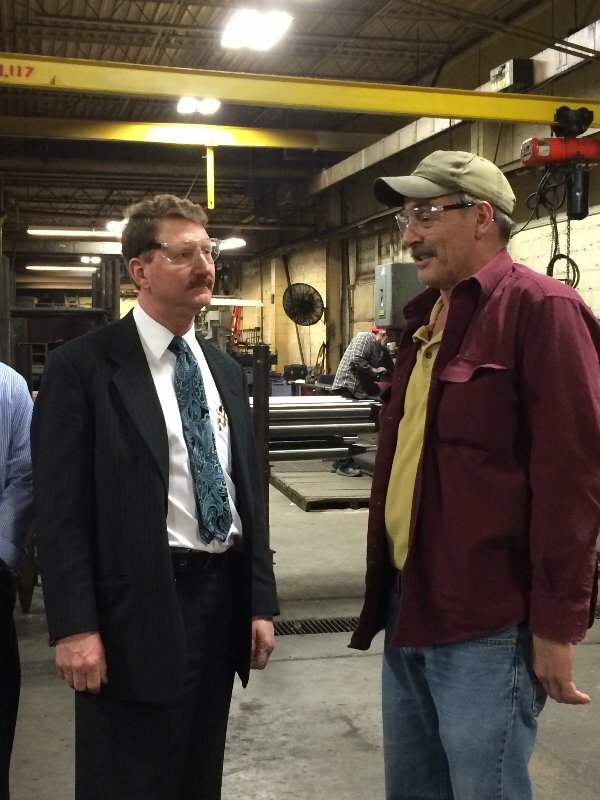 March 20, 2014 - Senator Vogel tours Pittsburgh Tubular Shafting, Inc. in Rochester to see the work they are doing in the community. 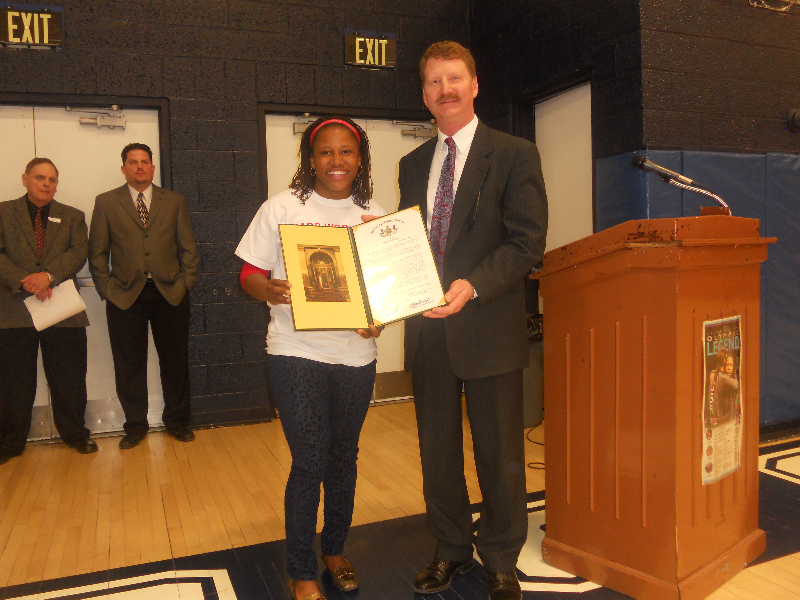 March 14, 2014 - Senator Vogel had the opportunity to congratulate Olympian Lauryn Williams at a celebration in her honor at Rochester School District. She is the first American woman to medal in the Summer and Winter Olympics. 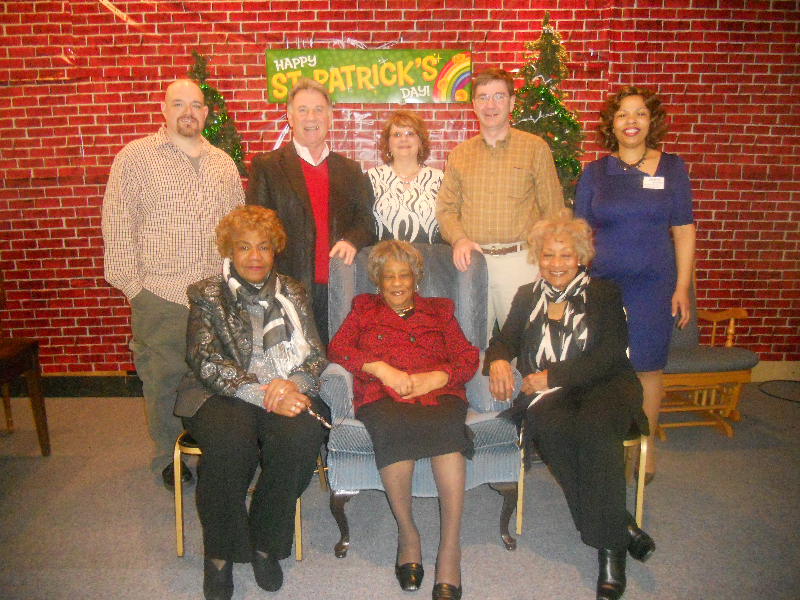 February 22, 2014 - Senator Vogel’s staff had the privilege of presenting three local Freedom Riders with certificates honoring their historic trip to Washington, DC in 1963 to hear Dr. Martin Luther King Jr.’s “I Have a Dream” speech. 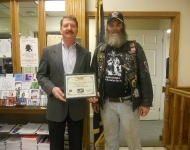 January 31, 2014 - Senator Vogel proudly receives a certificate of appreciation from Tee Tolfa, spokesperson for Charity Riders, for his contribution to the 2013 Erie Annual Run. 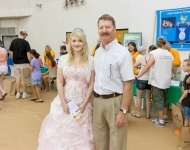 Charity Riders is a nonprofit organization that raises money for local children with cancer. 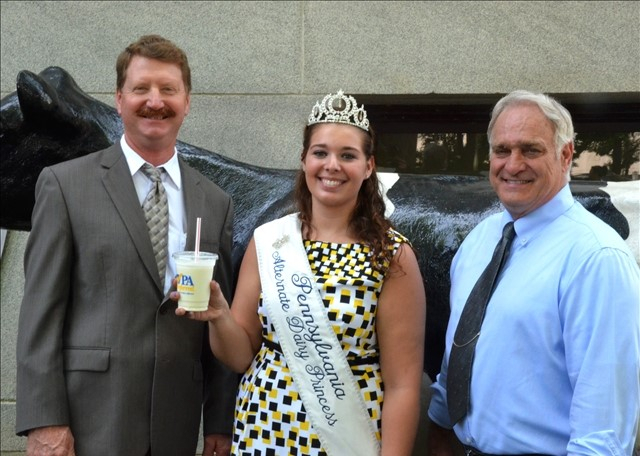 January 8, 2014 - Senator Vogel once again had the privilege to host the VIP Dairy Showmanship Contest at the Pennsylvania Farm Show. 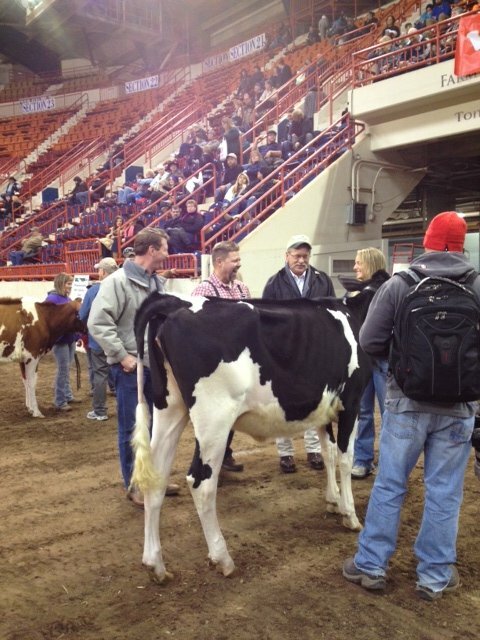 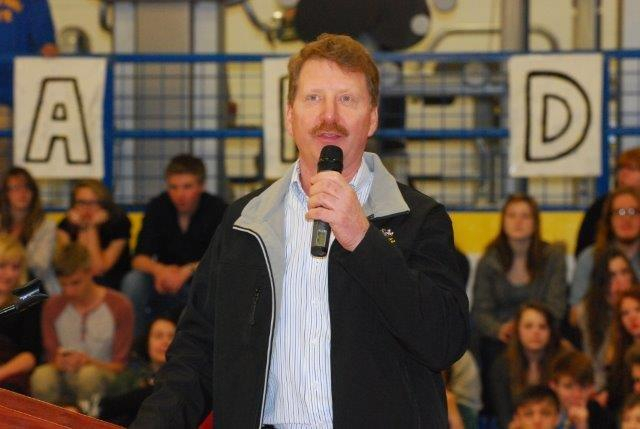 As a fourth generation dairy farmer, he is honored to participate in the Farm Show each year. 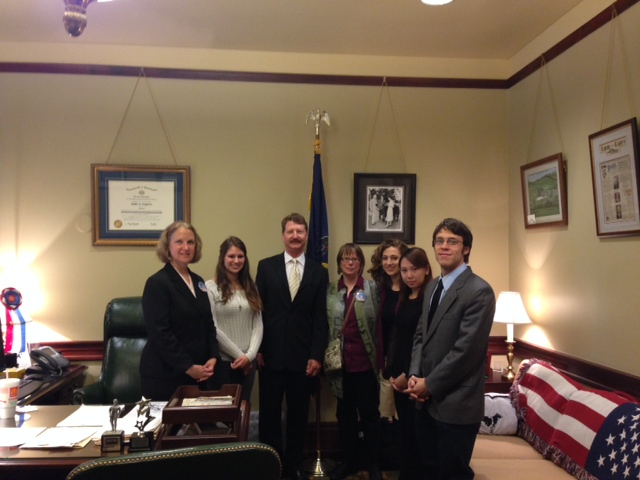 January 8, 2014 - Senator Vogel was pleased to have Vo-Tech students from the 47th District tour the Capitol during the Farm Show week.